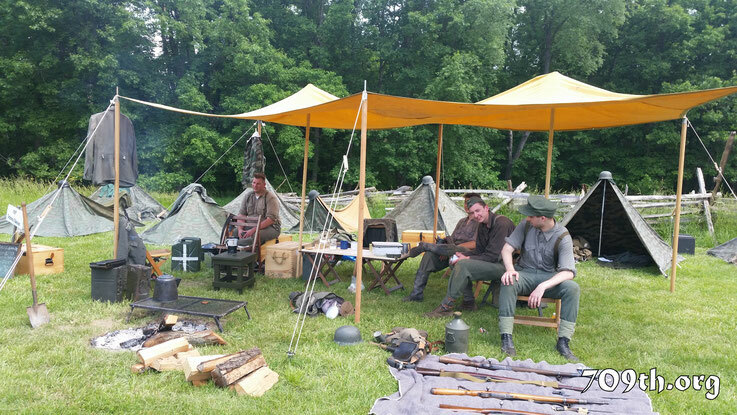 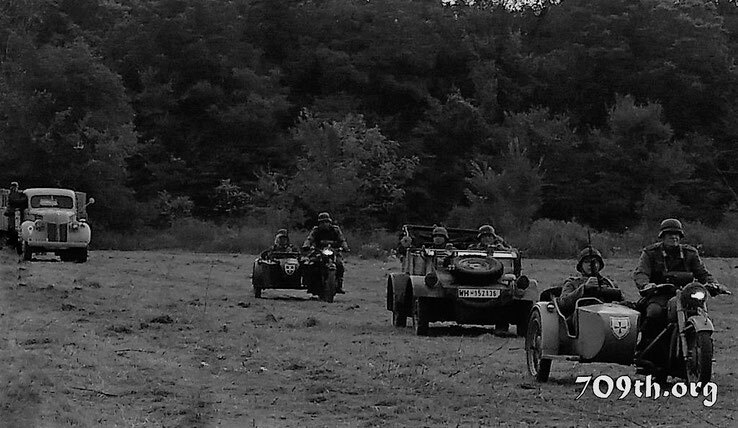 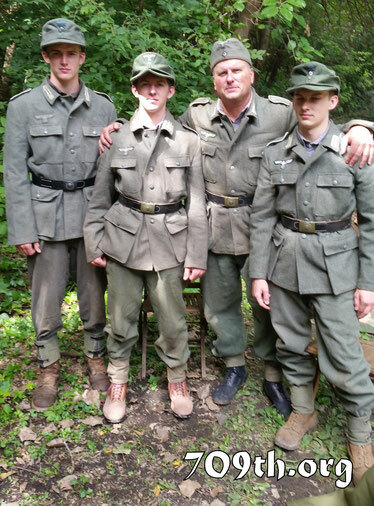 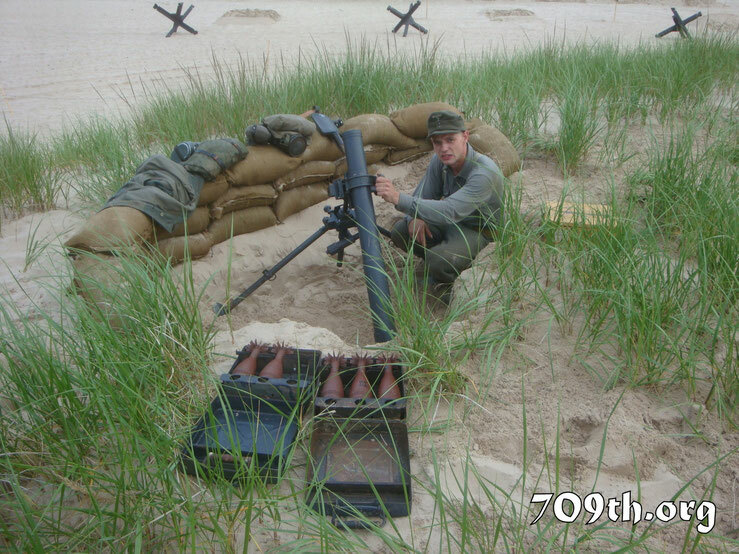 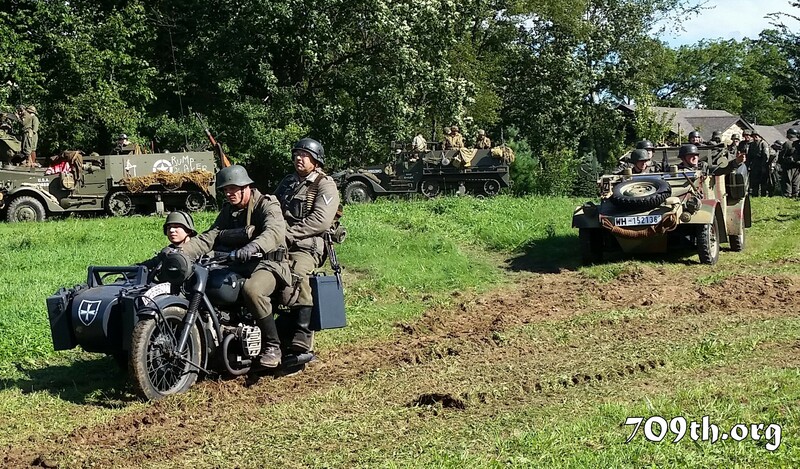 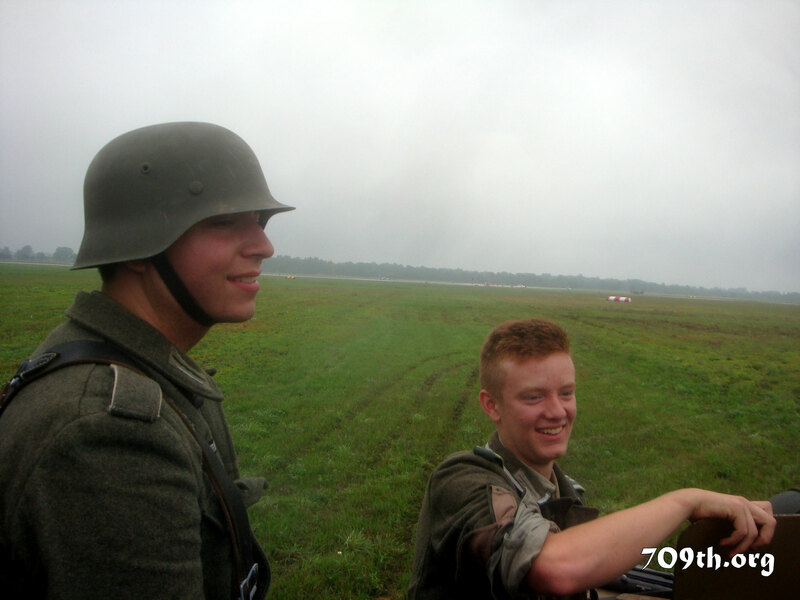 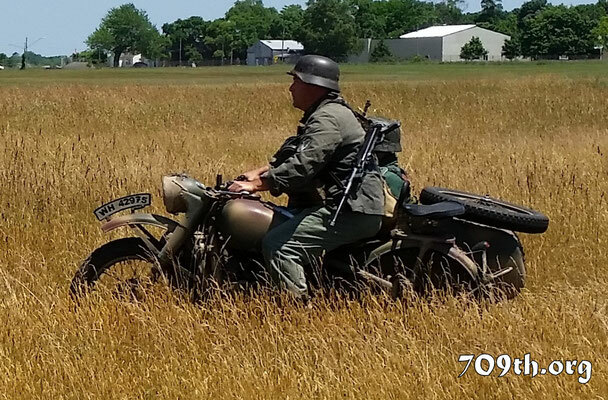 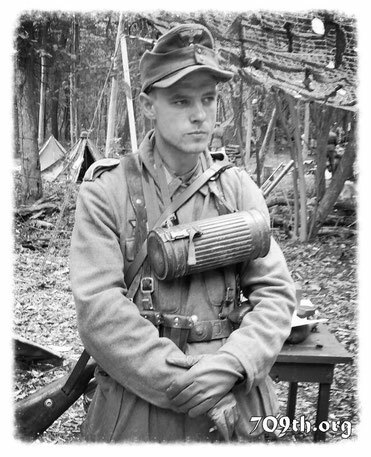 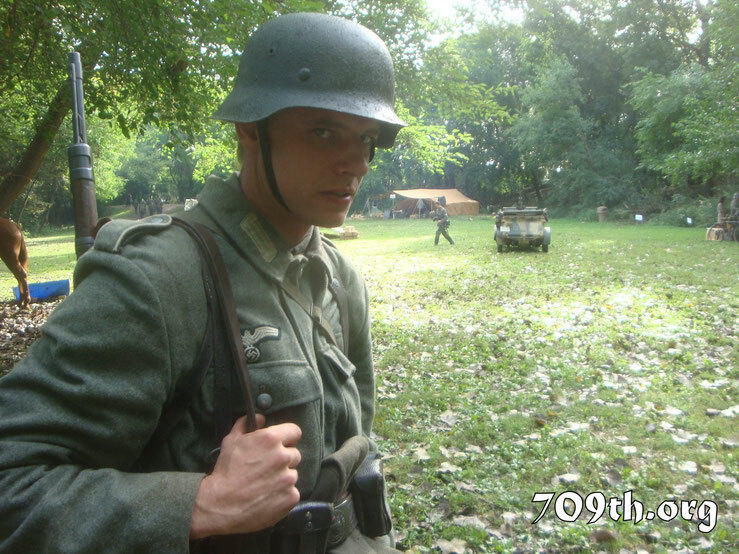 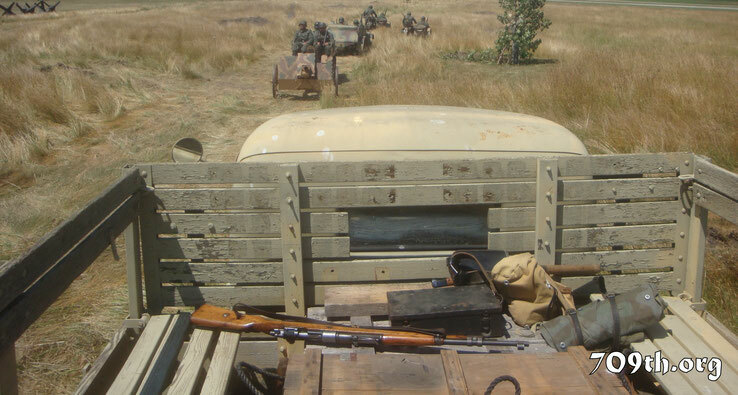 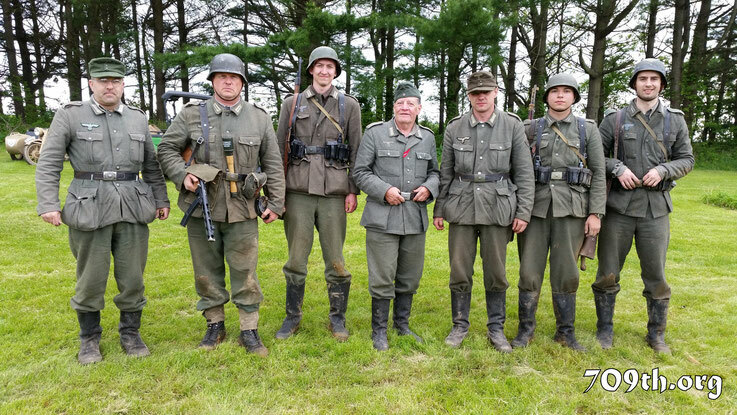 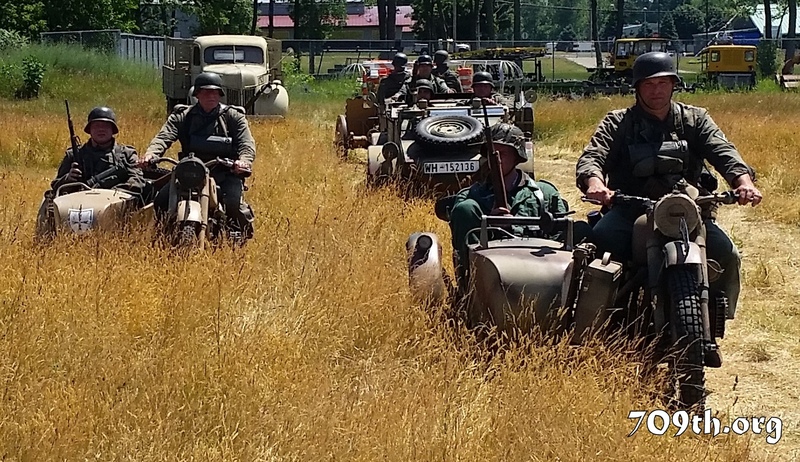 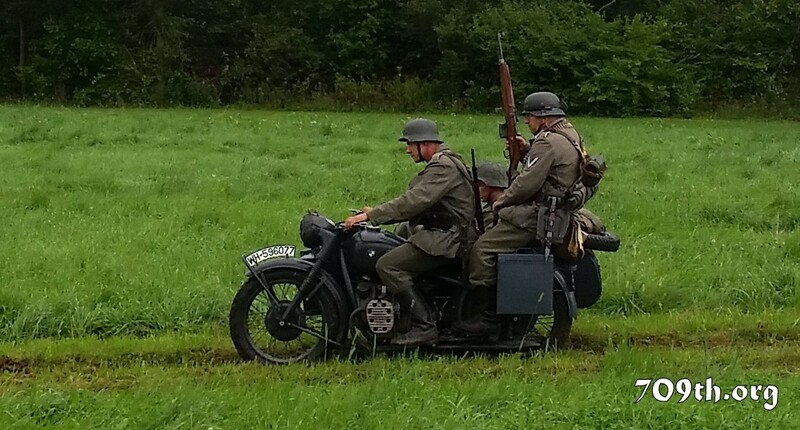 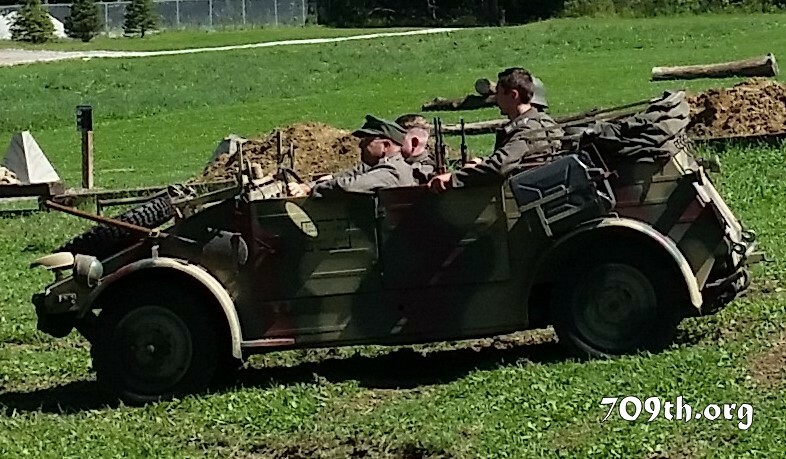 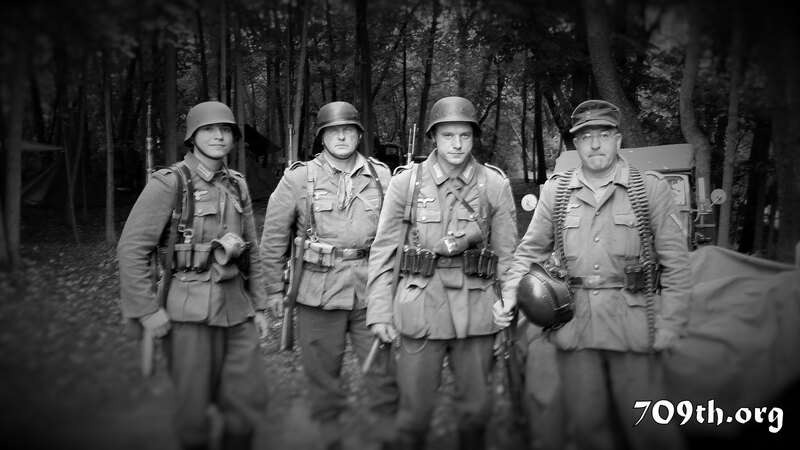 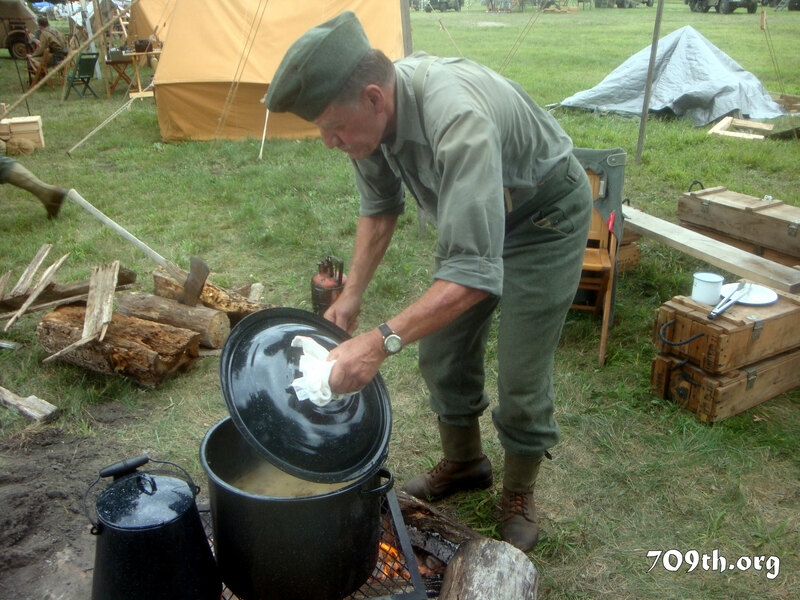 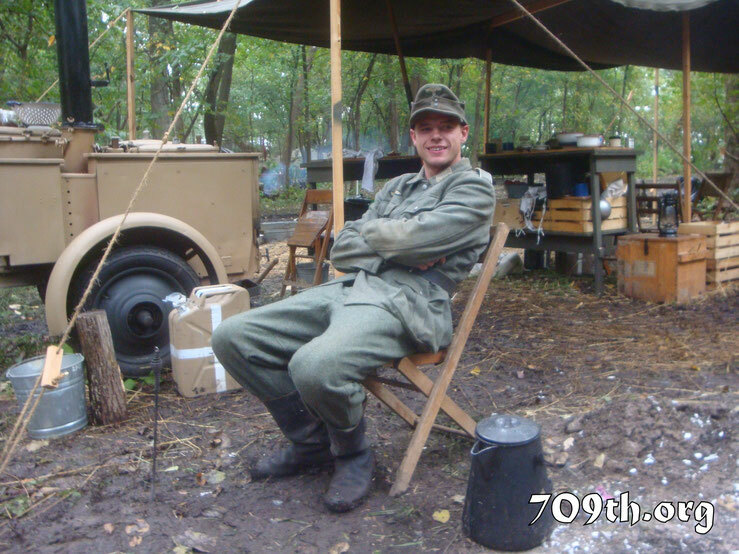 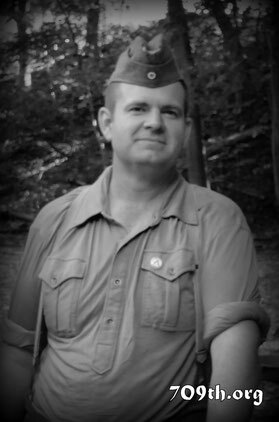 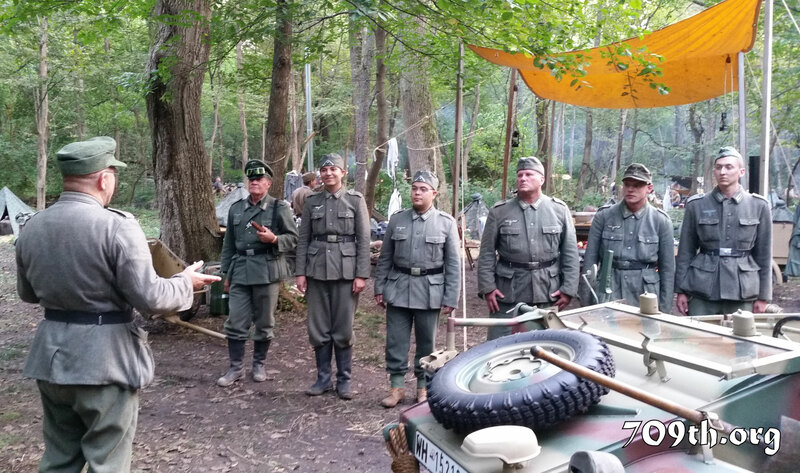 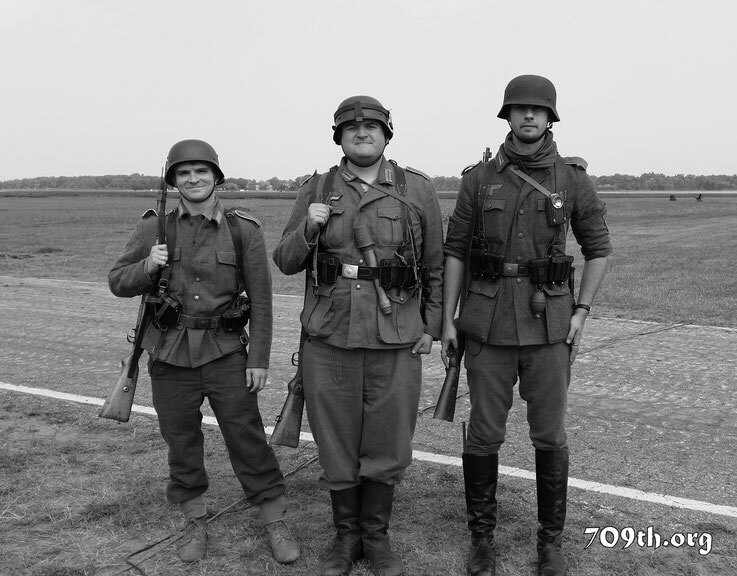 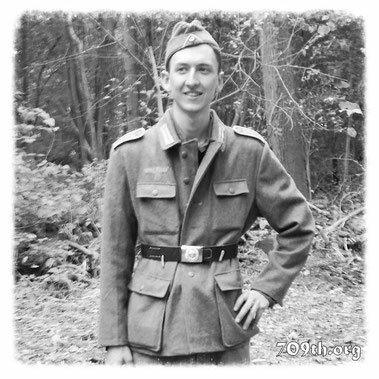 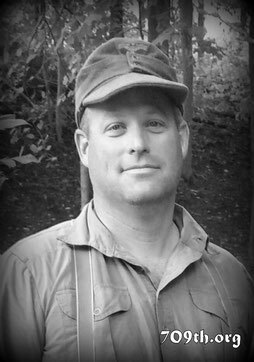 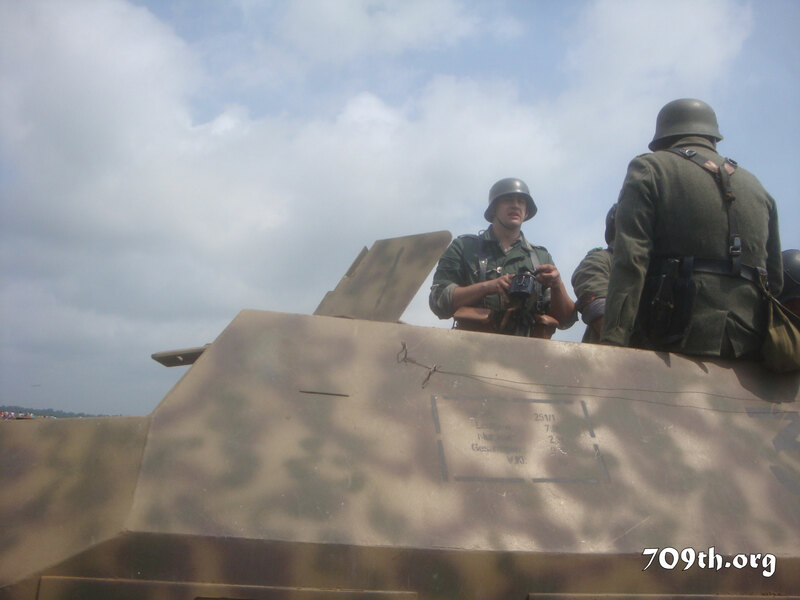 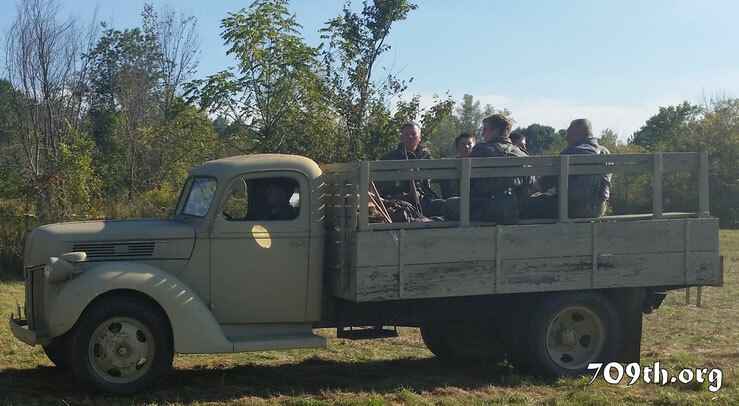 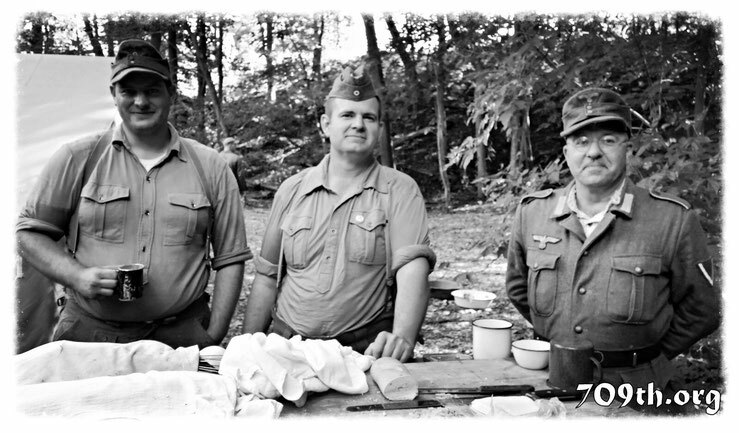 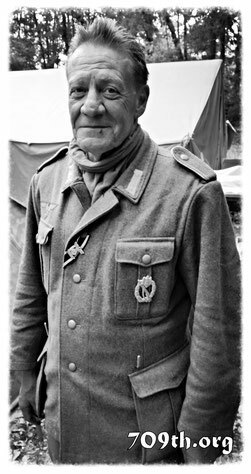 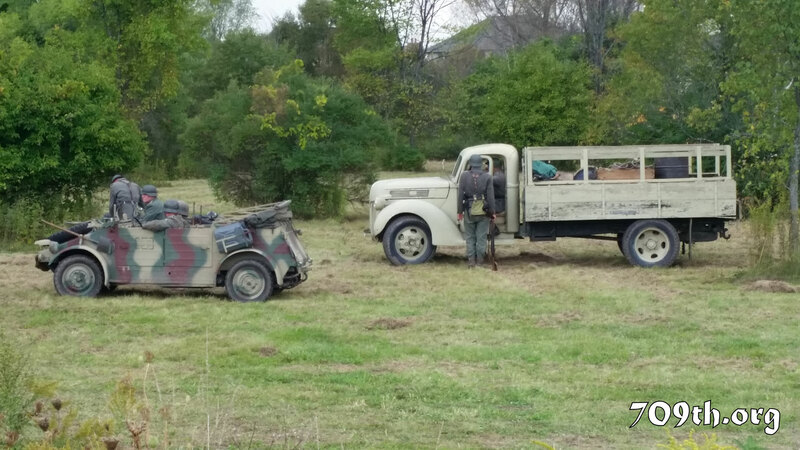 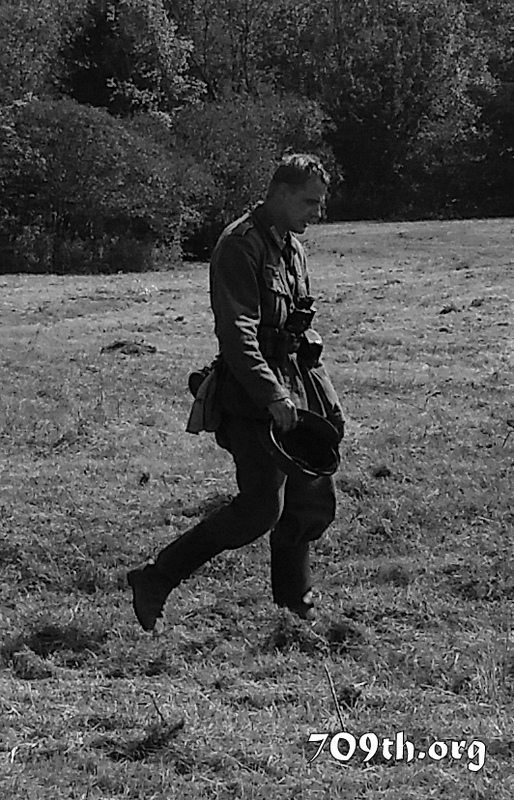 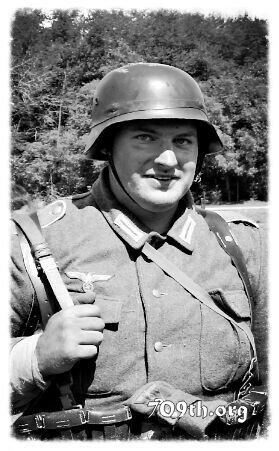 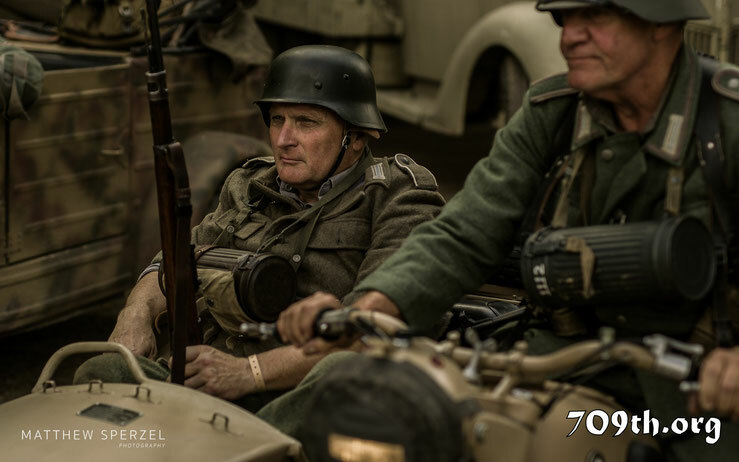 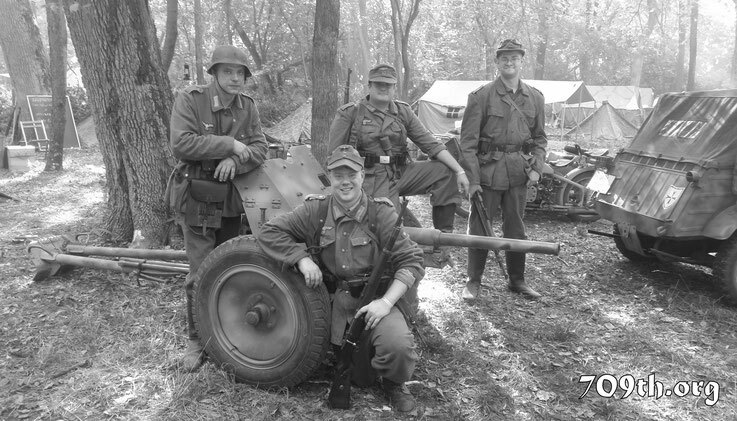 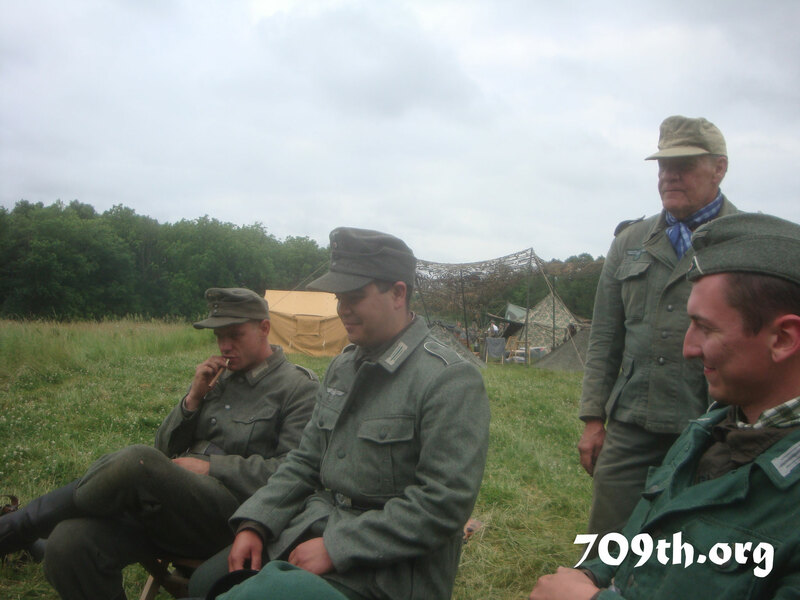 We are a group of Re-enactors (or Living Historians) dedicated to portraying the common German soldier (Landser) of WWII. 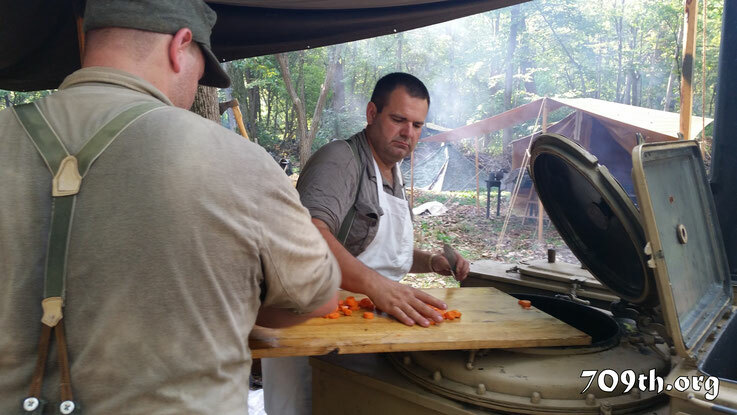 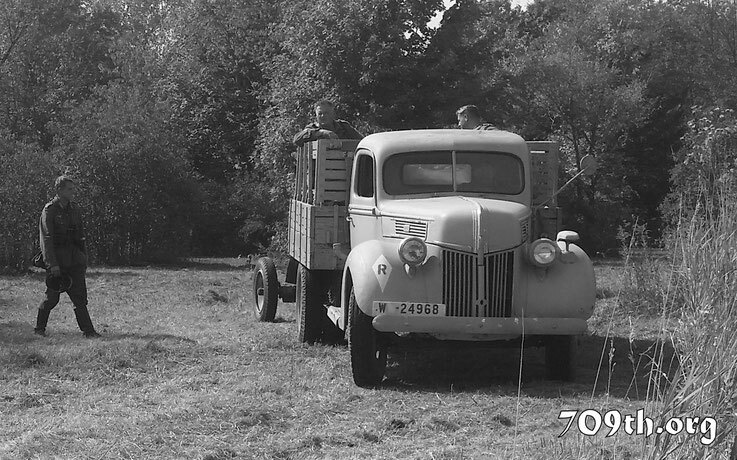 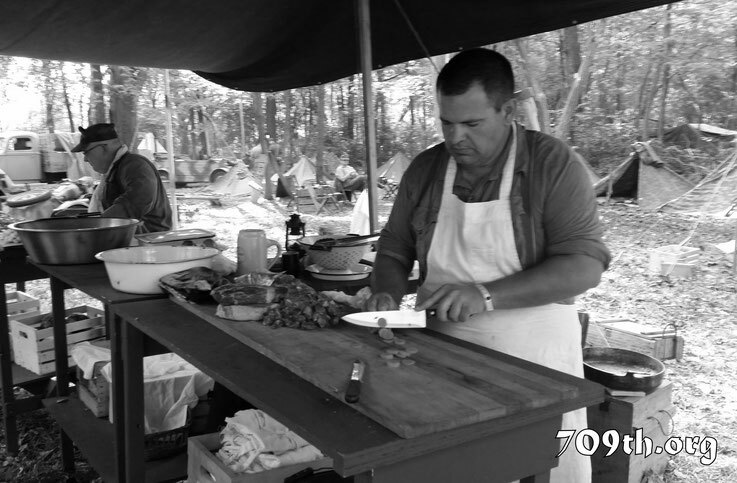 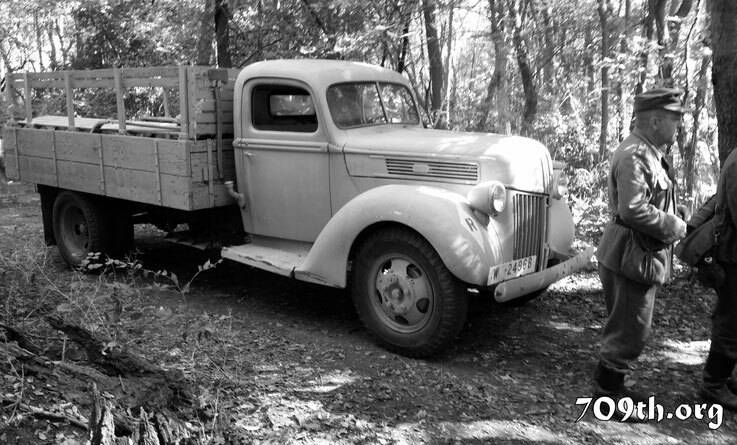 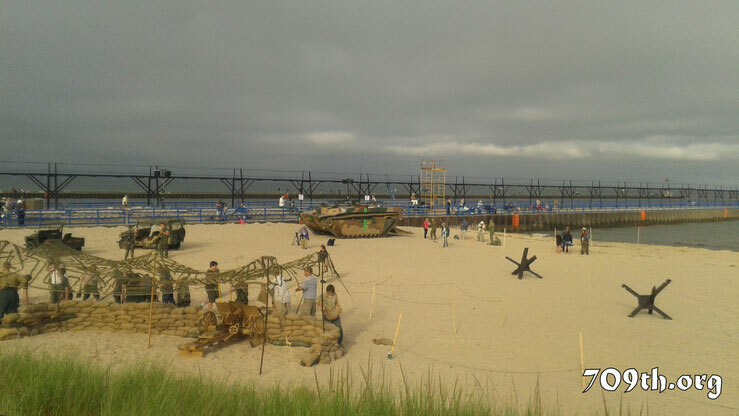 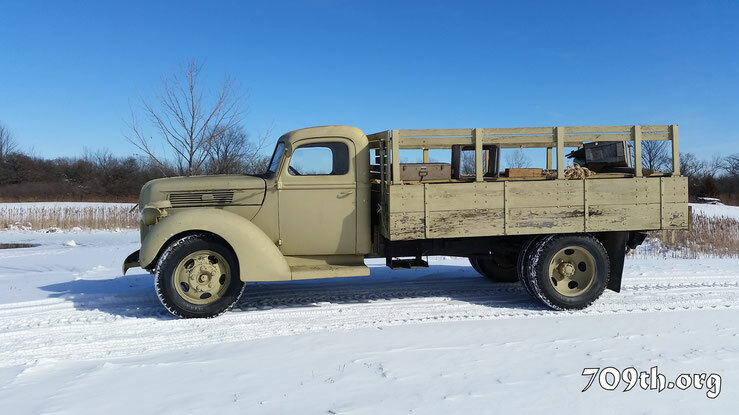 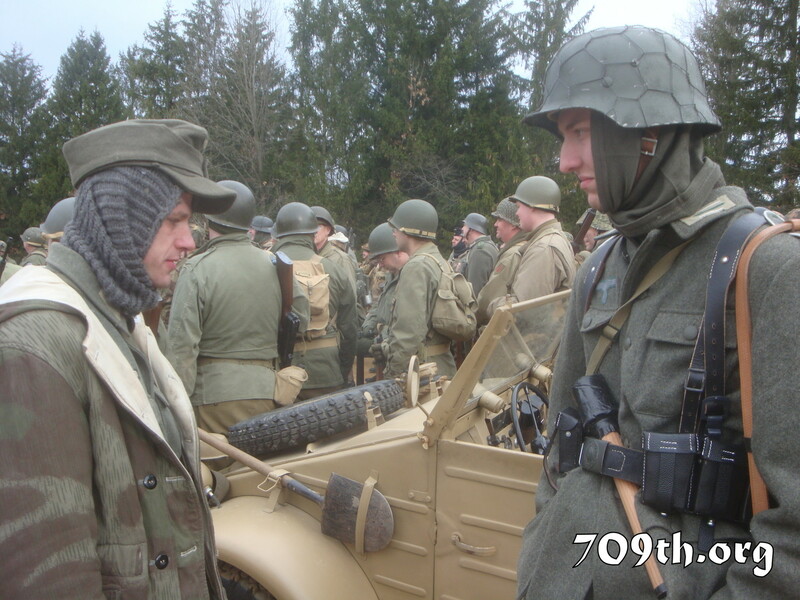 We are committed to historical accuracy in our impression. 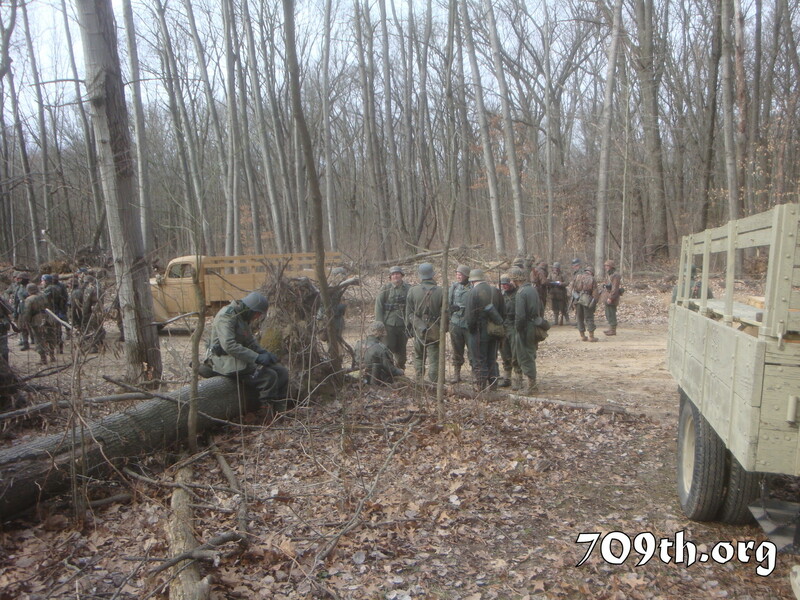 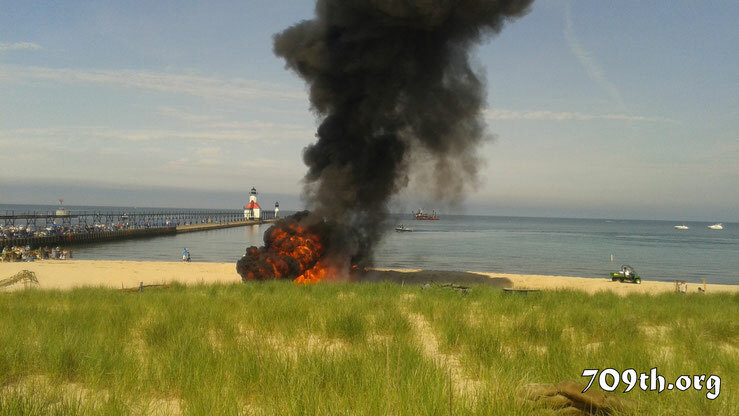 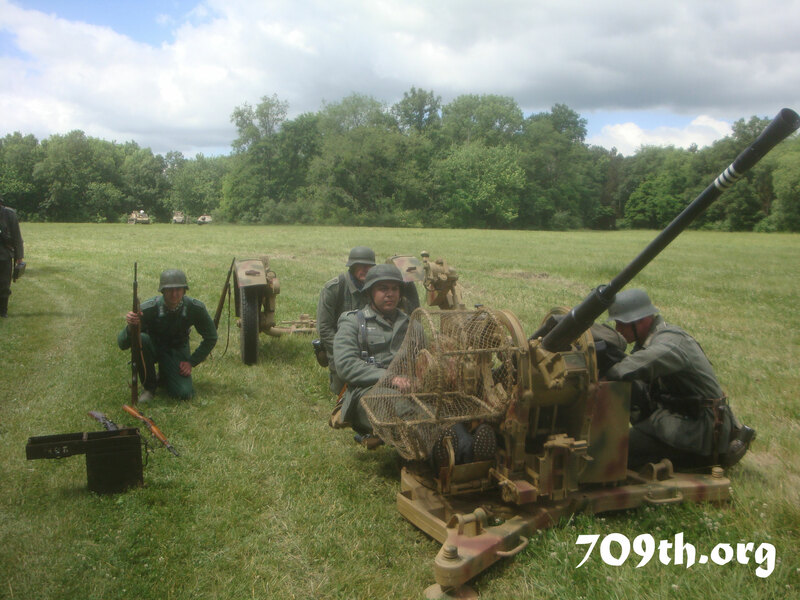 Our unit consists of members from Illinois, Indiana, Michigan, Ohio, and Wisconsin. 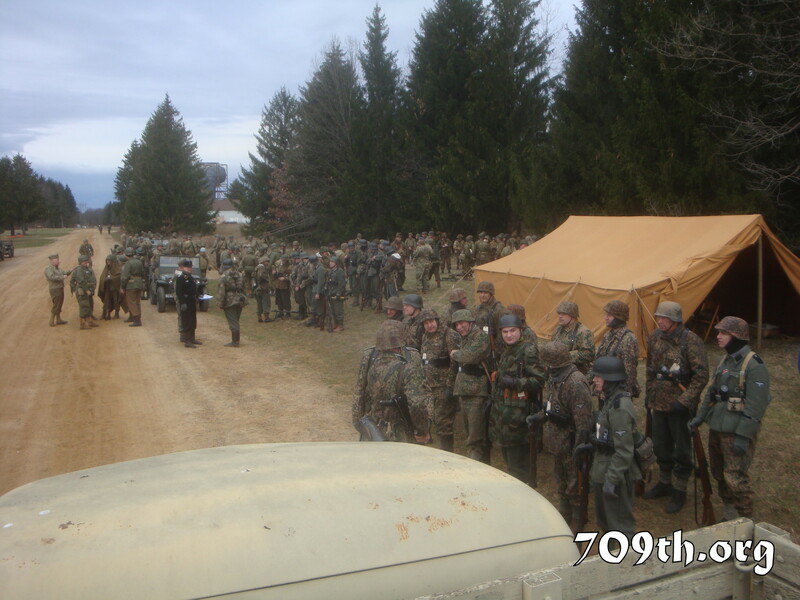 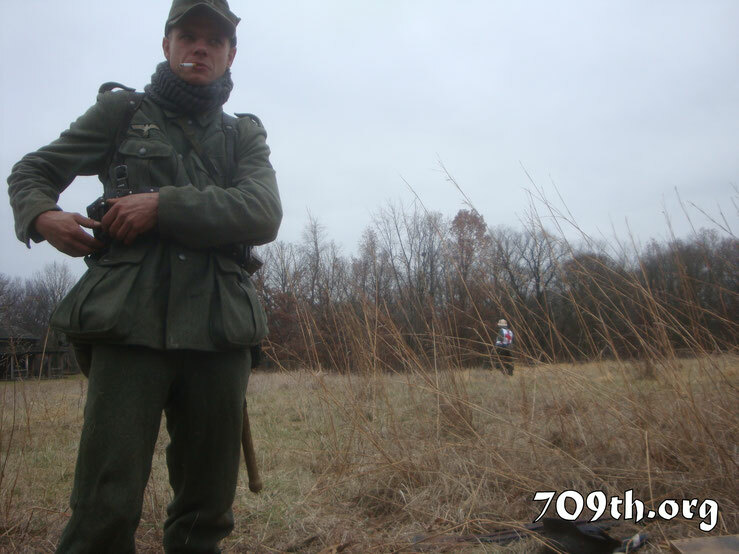 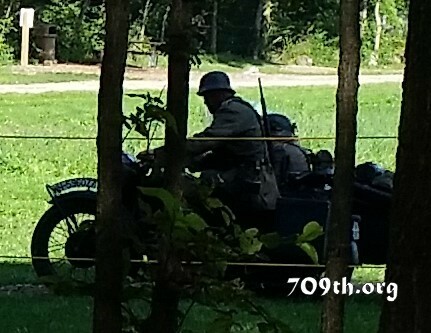 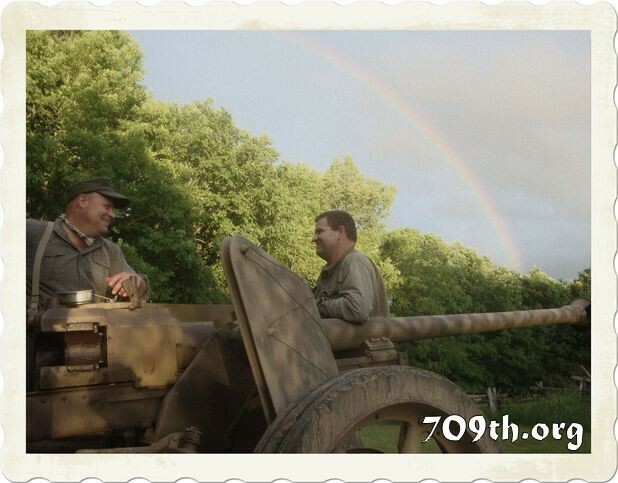 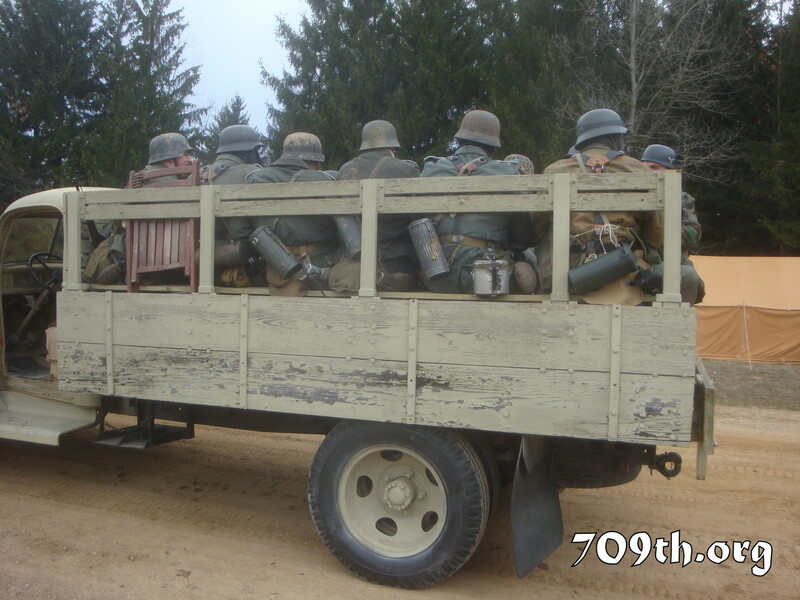 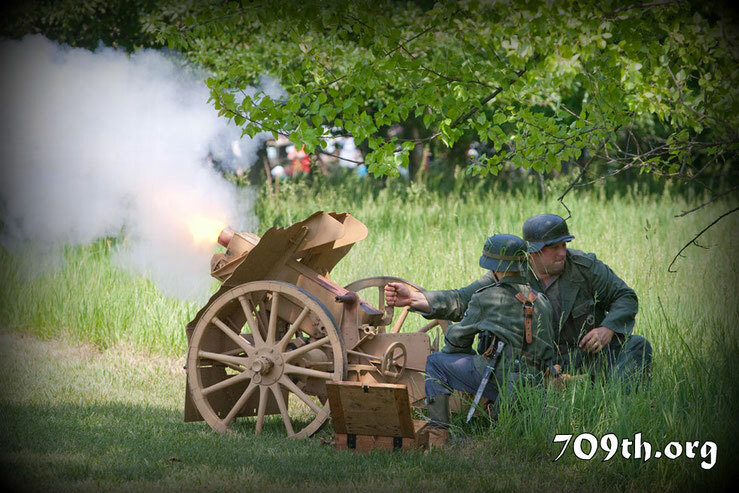 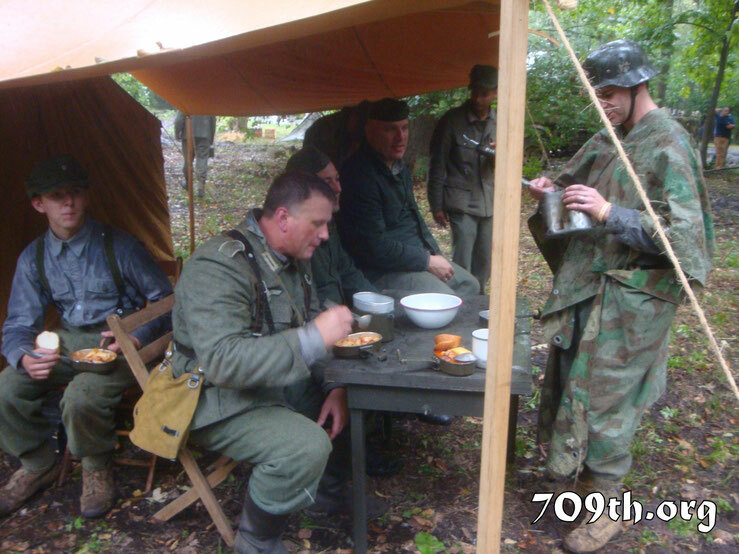 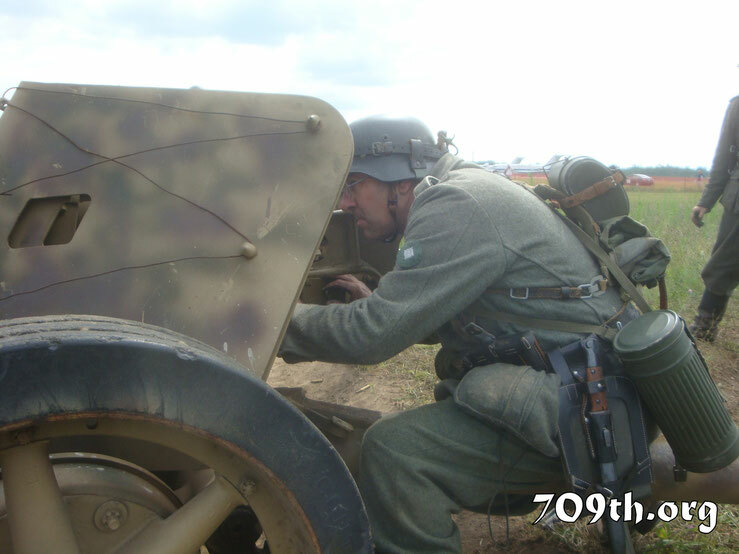 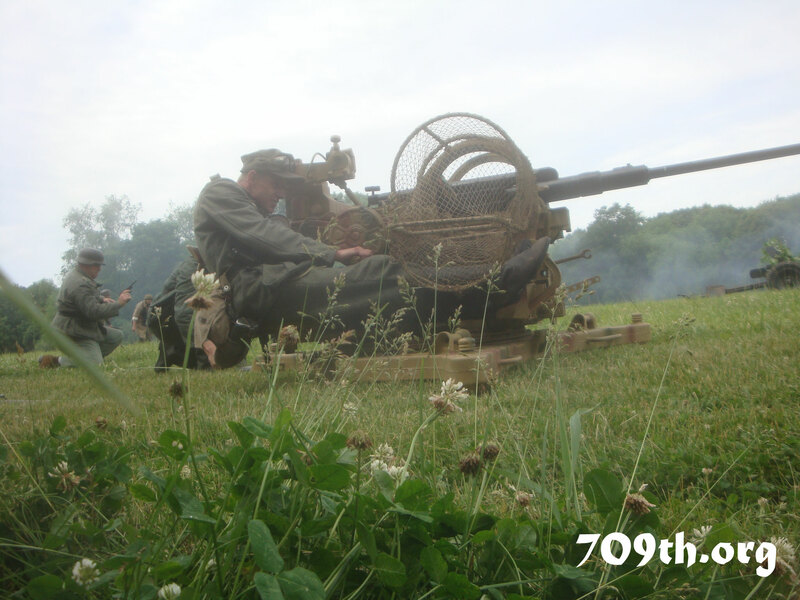 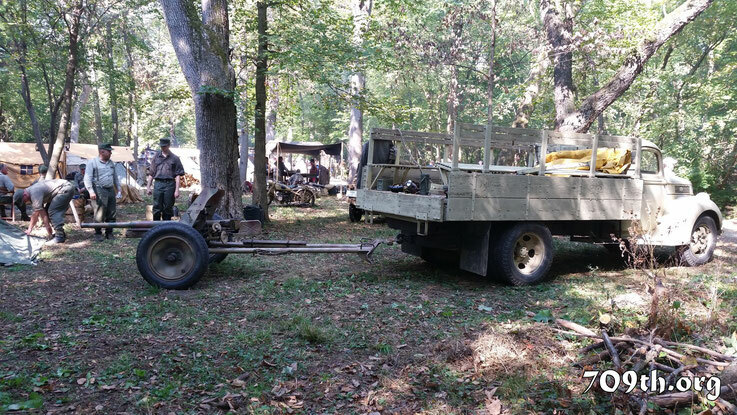 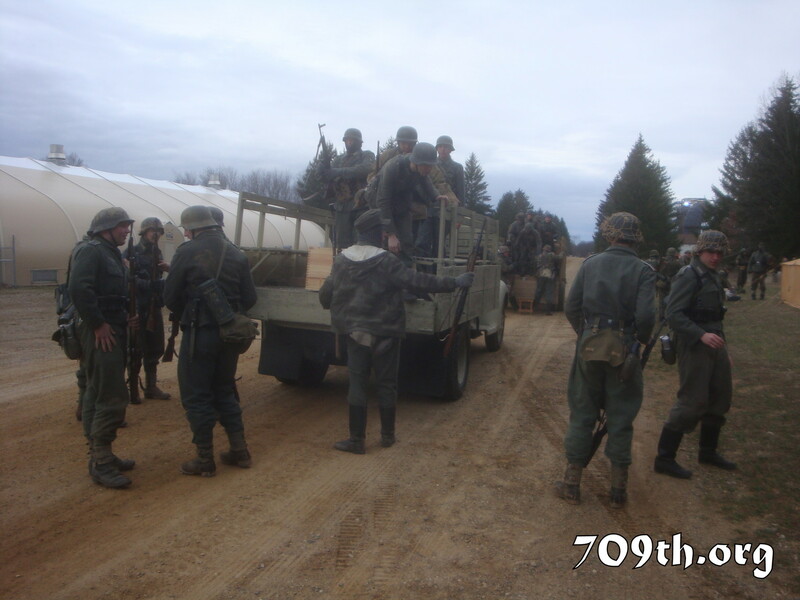 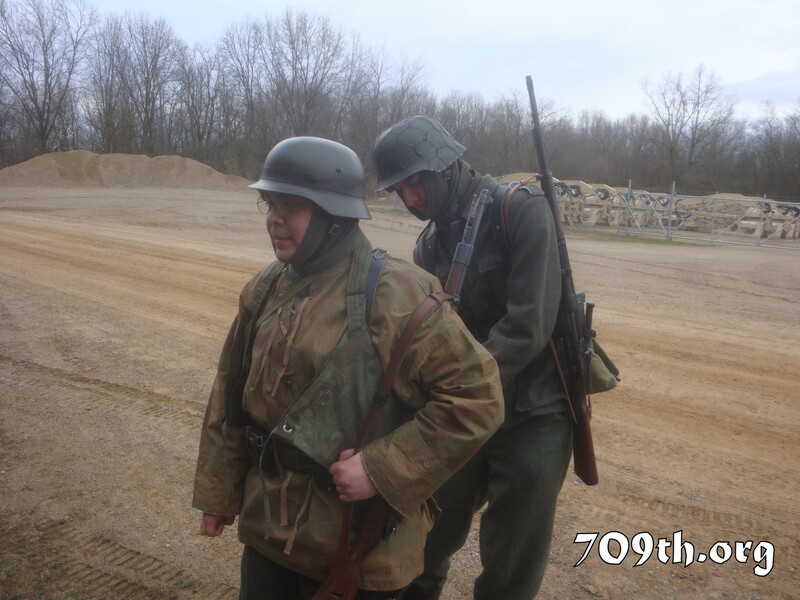 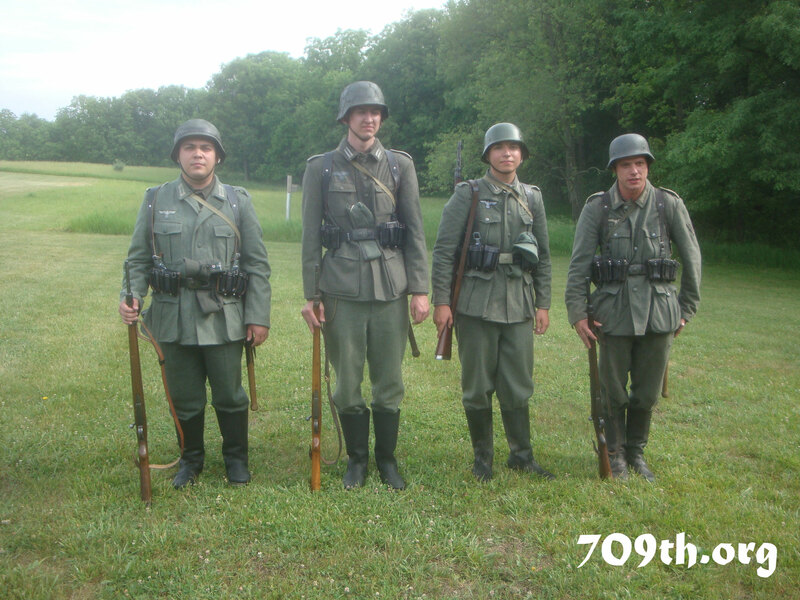 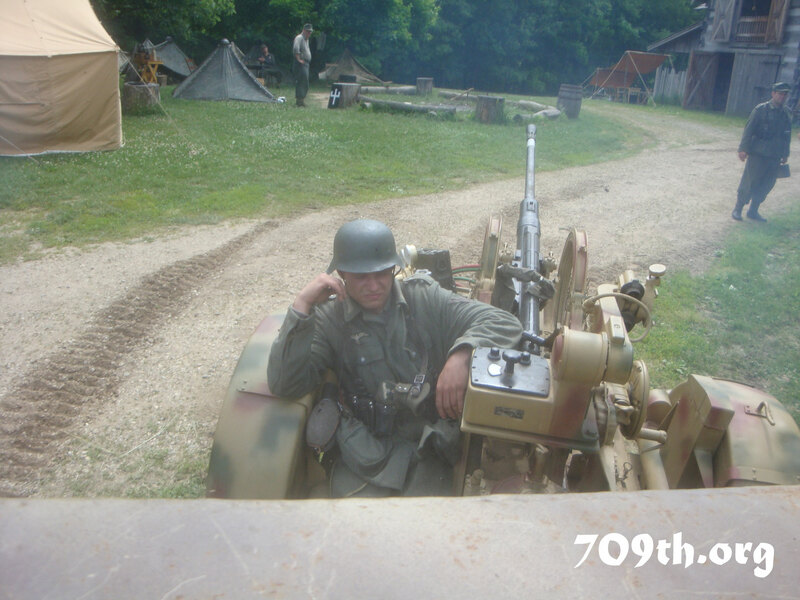 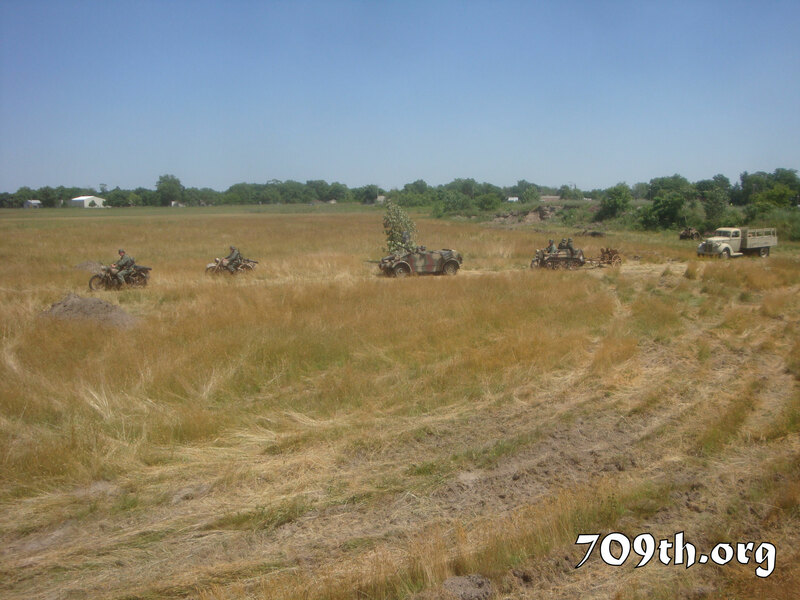 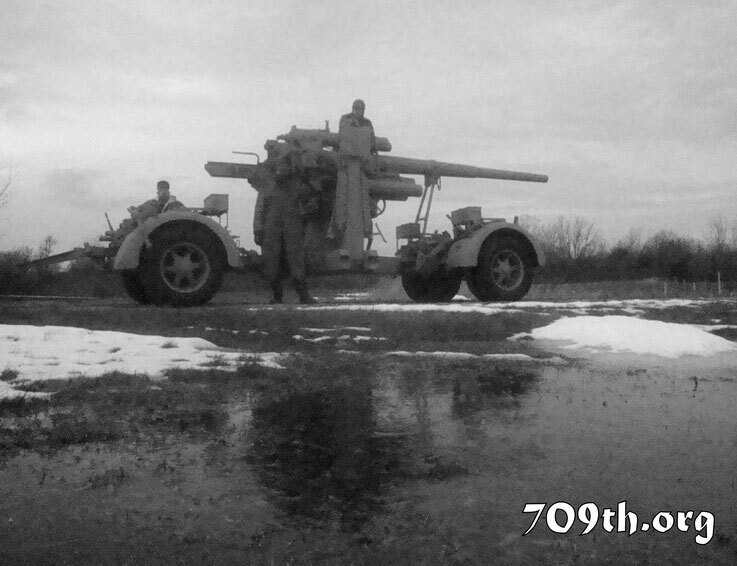 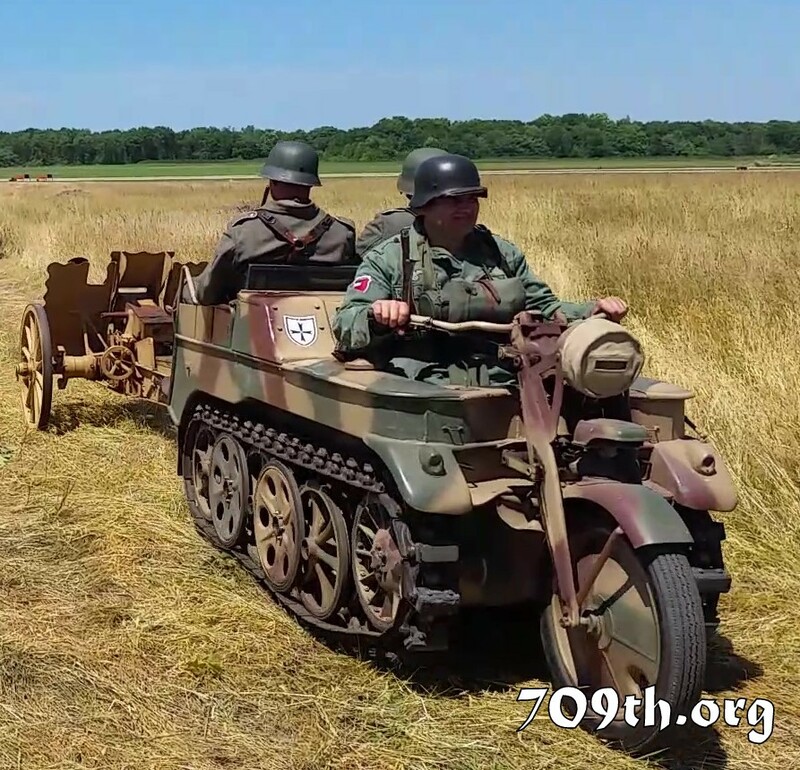 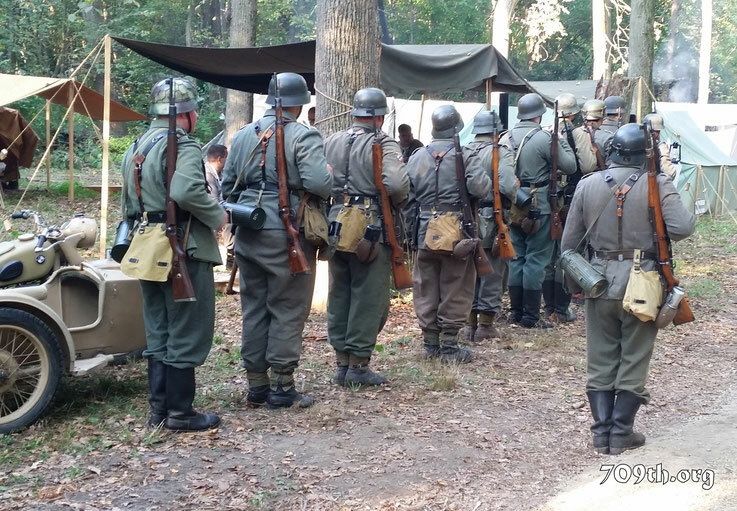 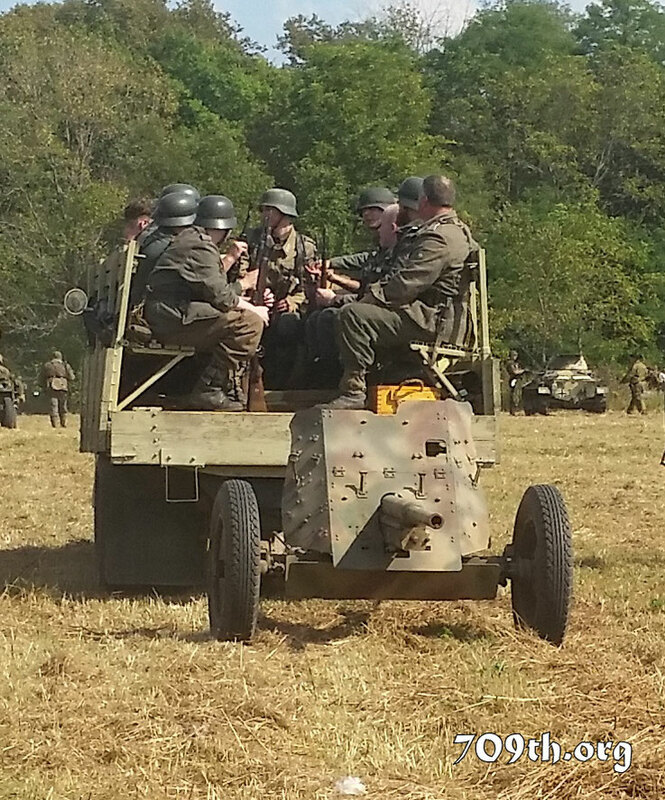 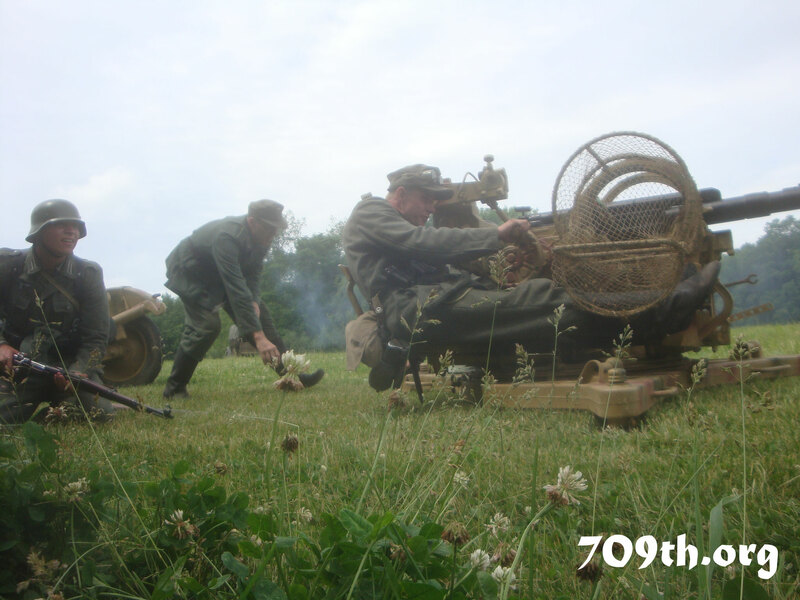 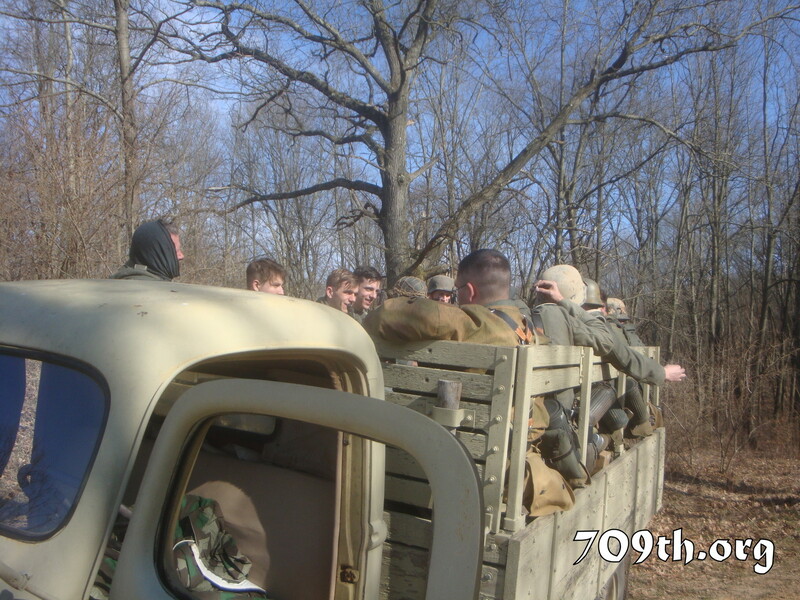 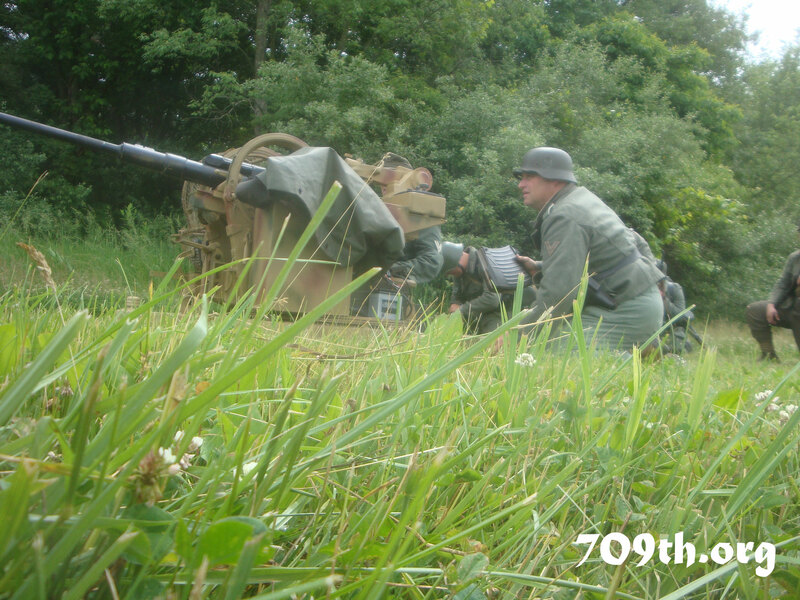 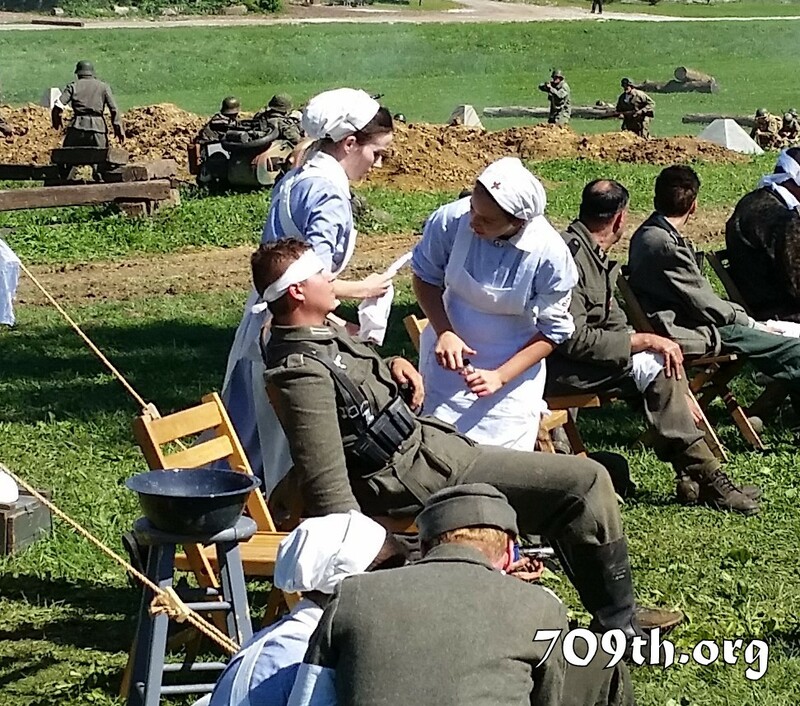 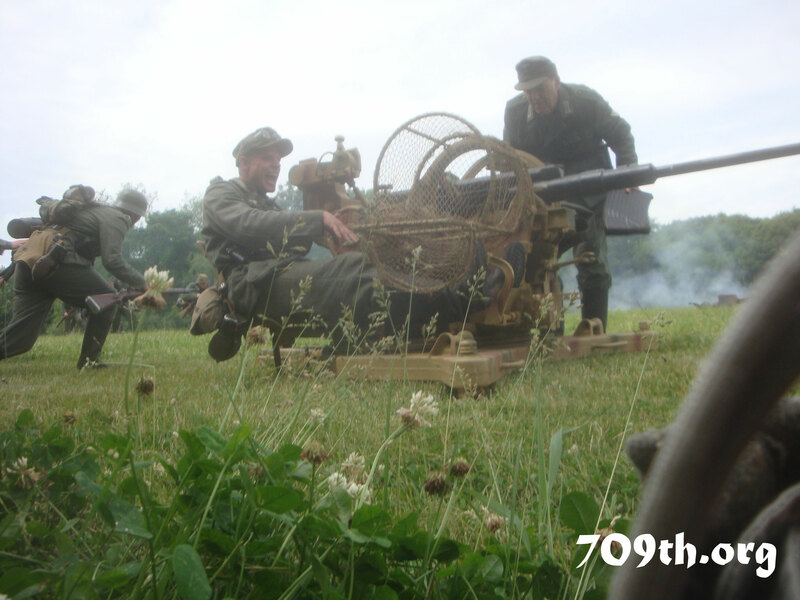 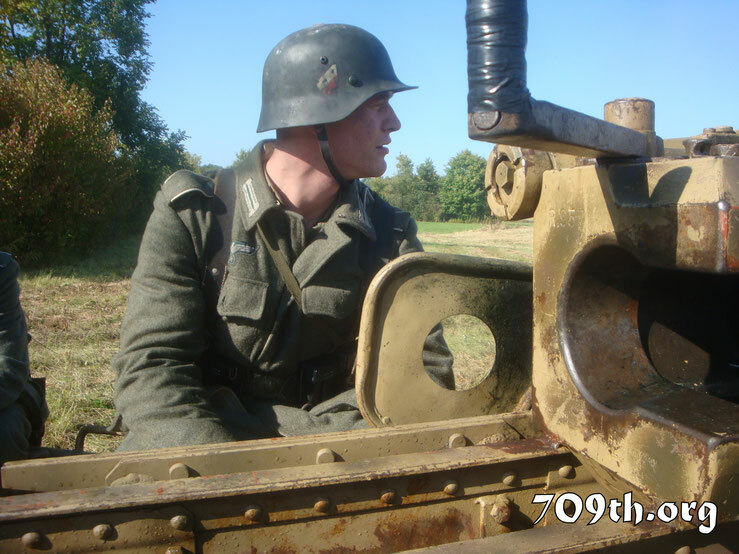 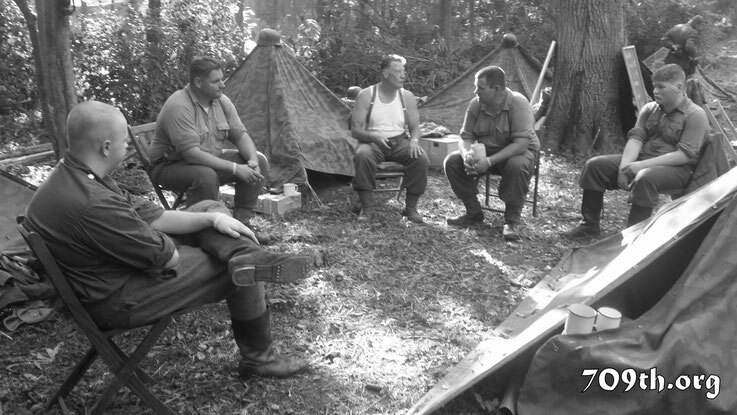 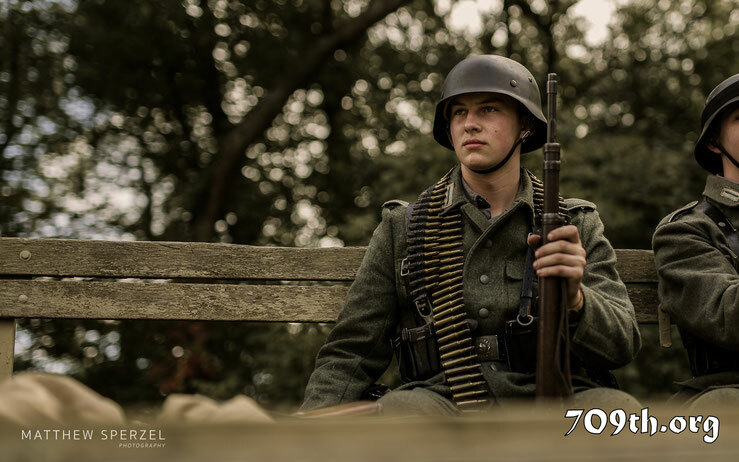 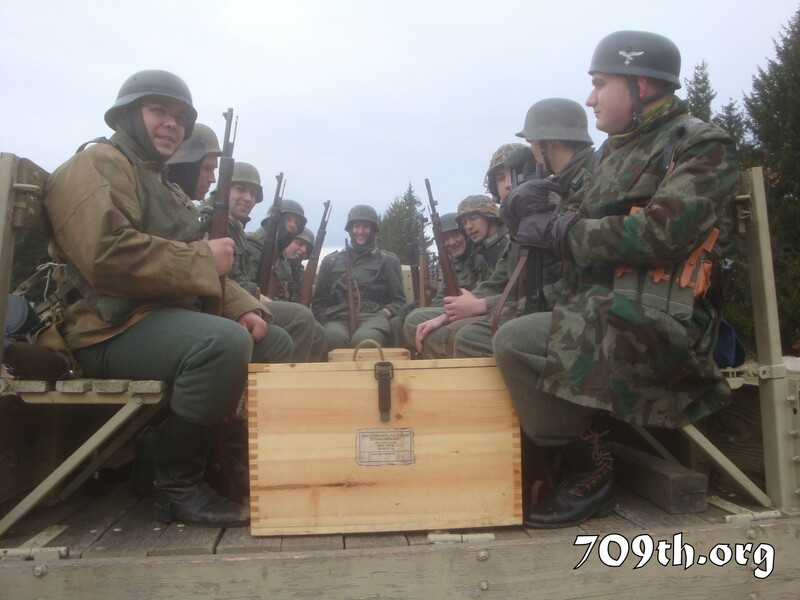 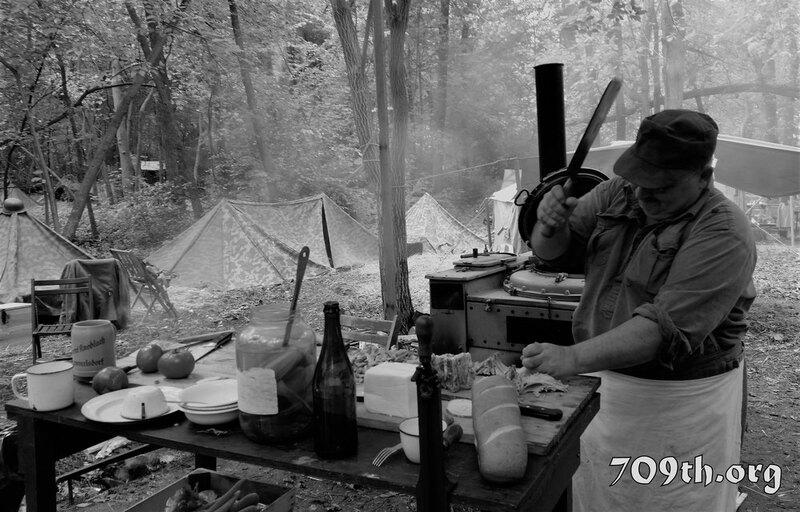 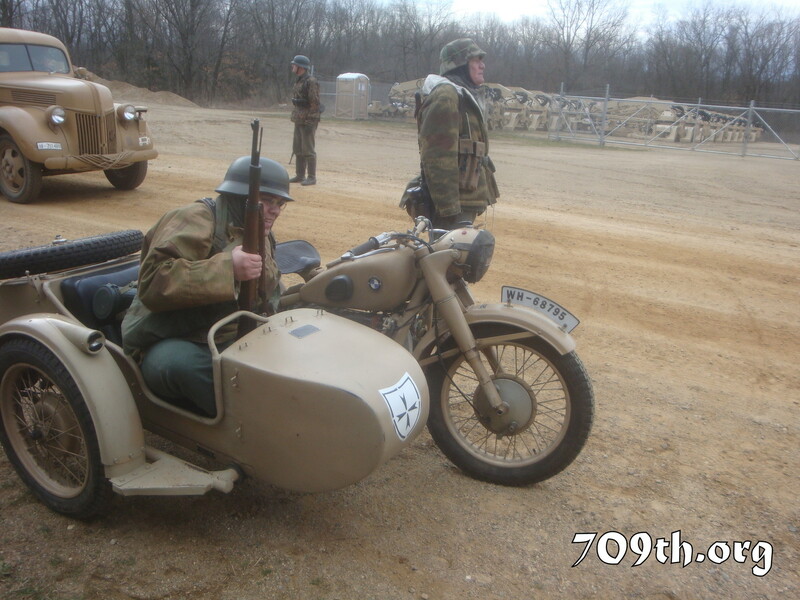 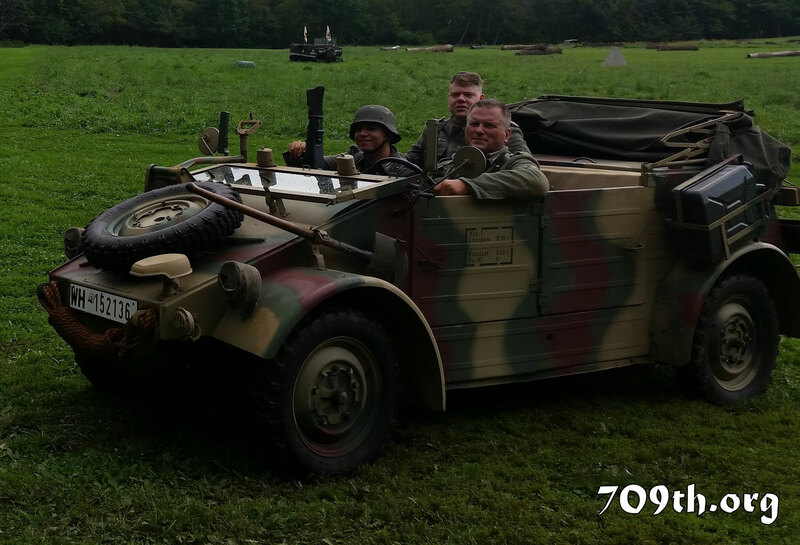 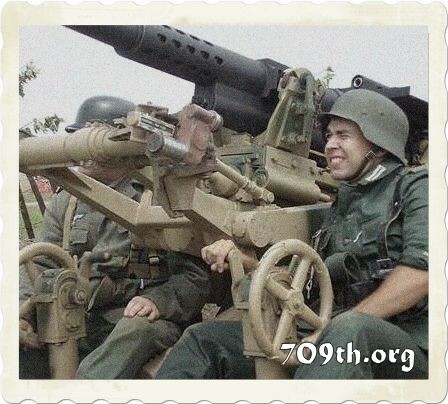 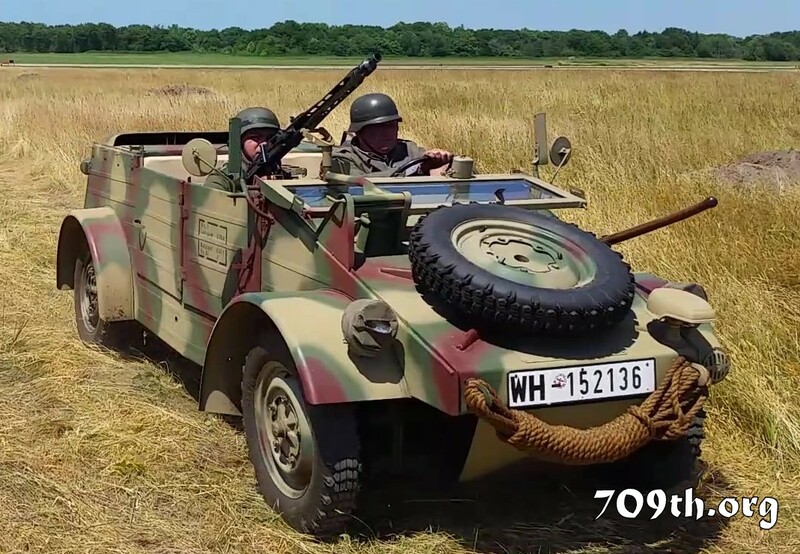 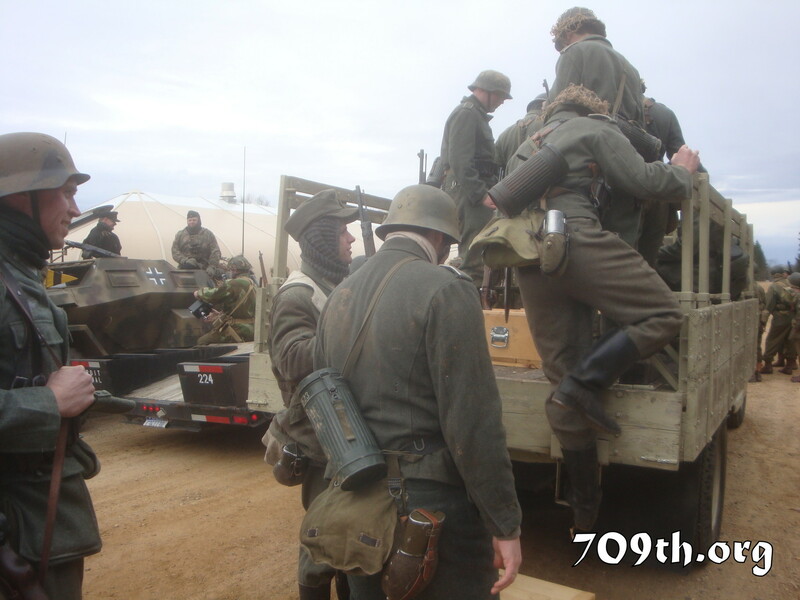 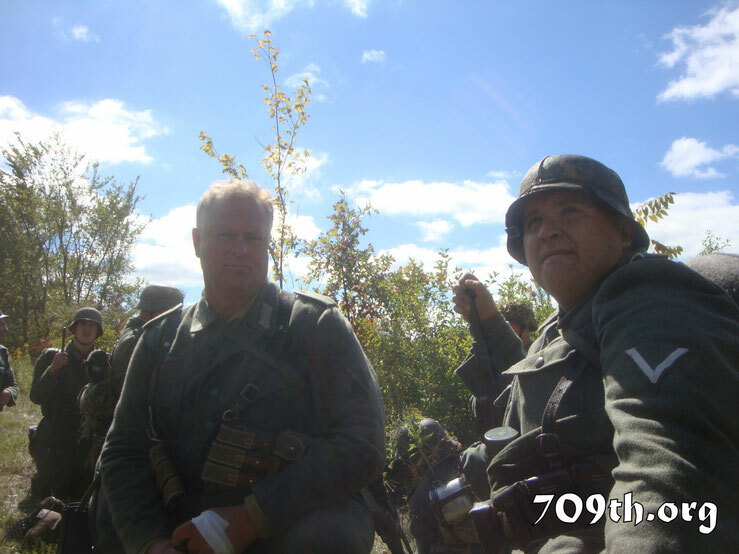 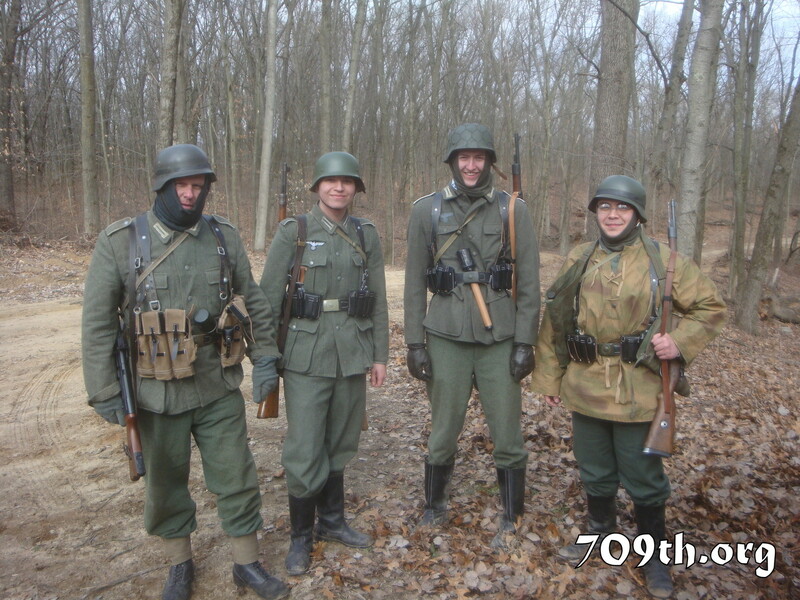 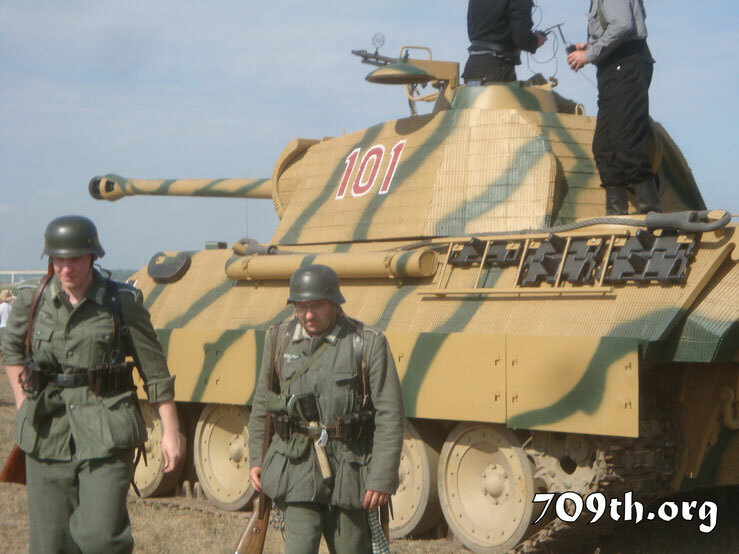 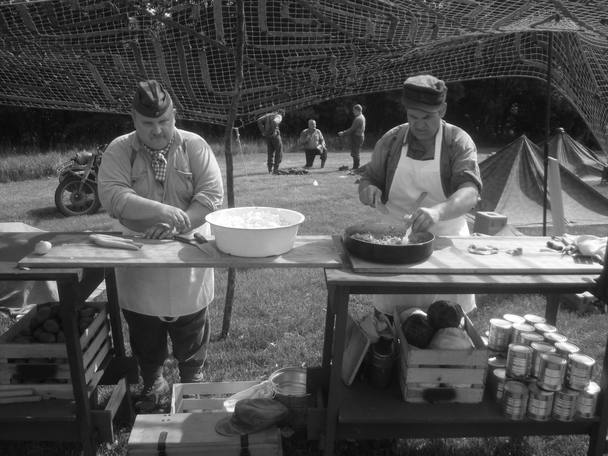 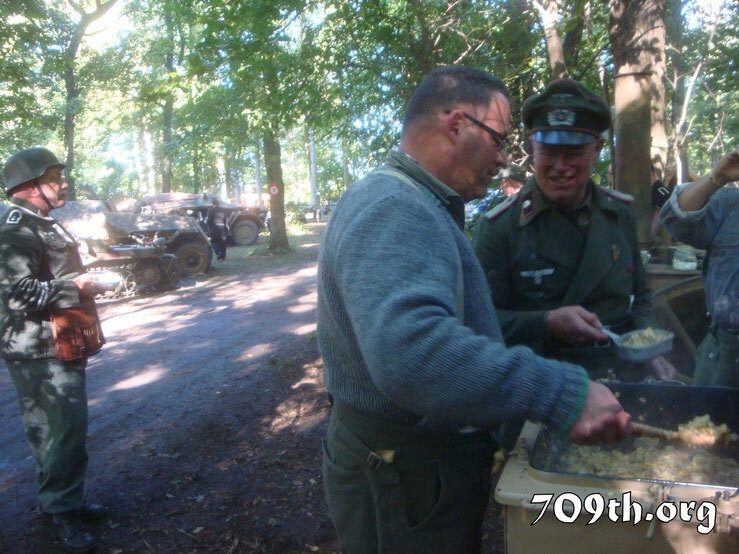 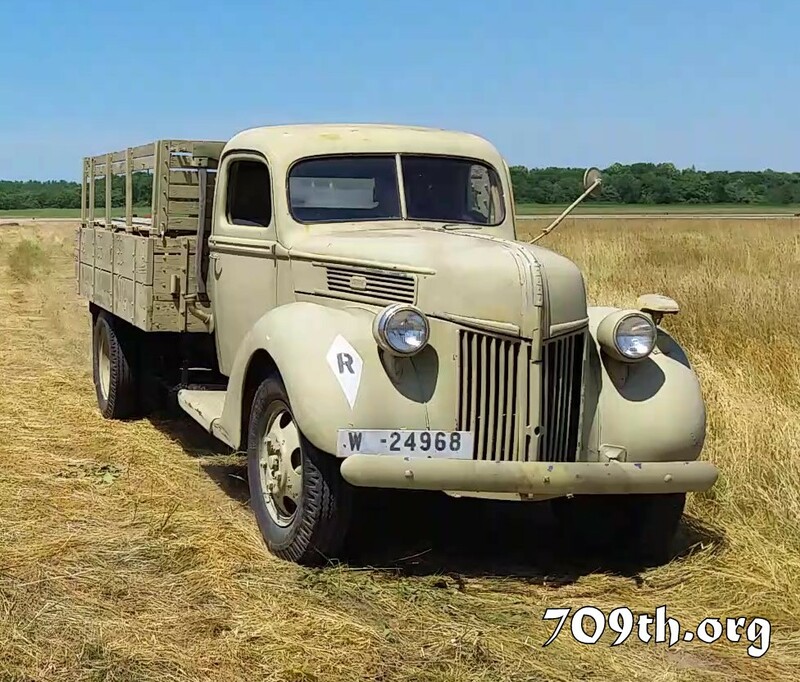 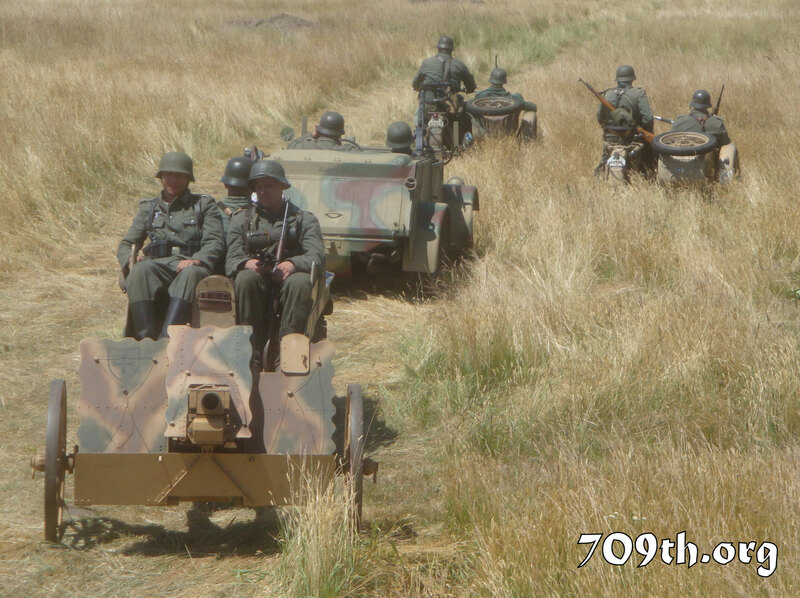 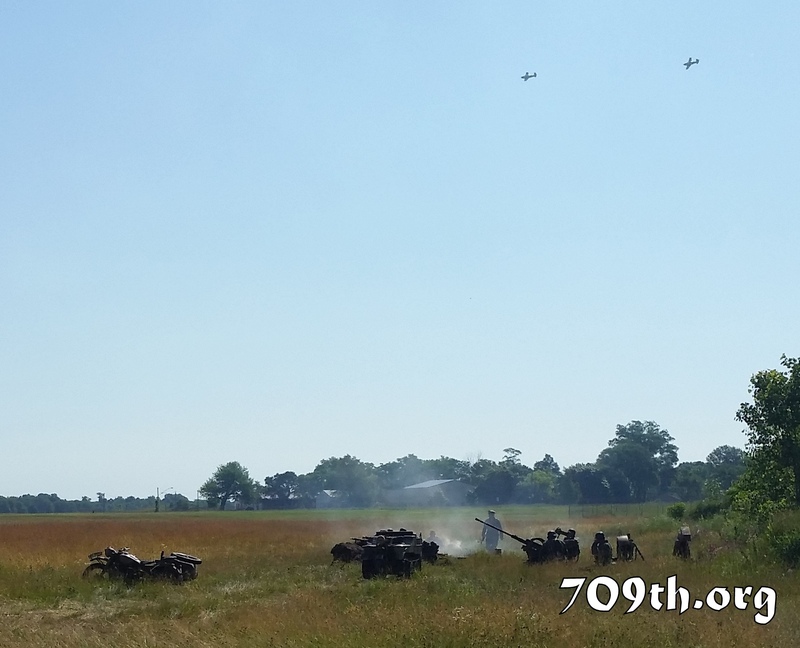 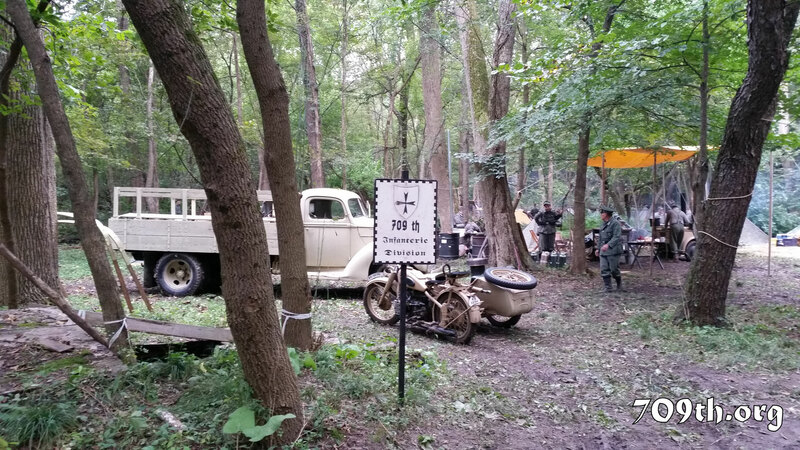 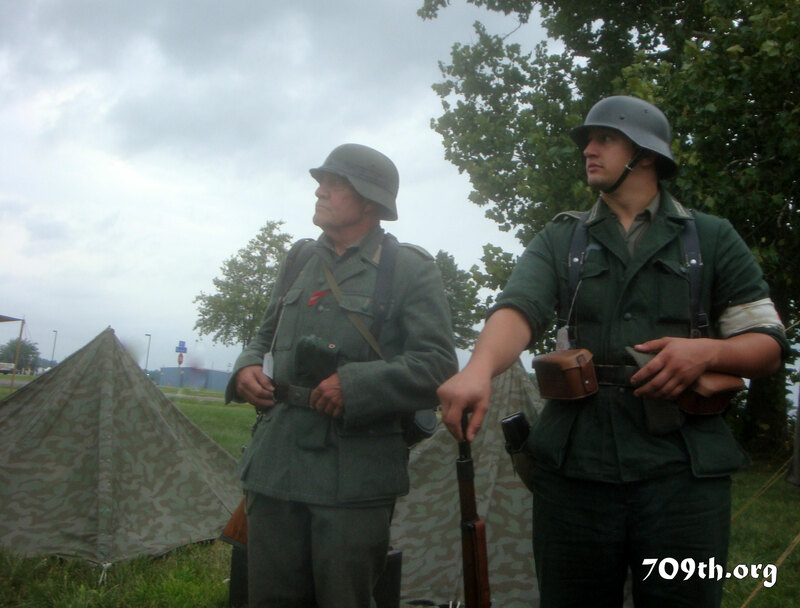 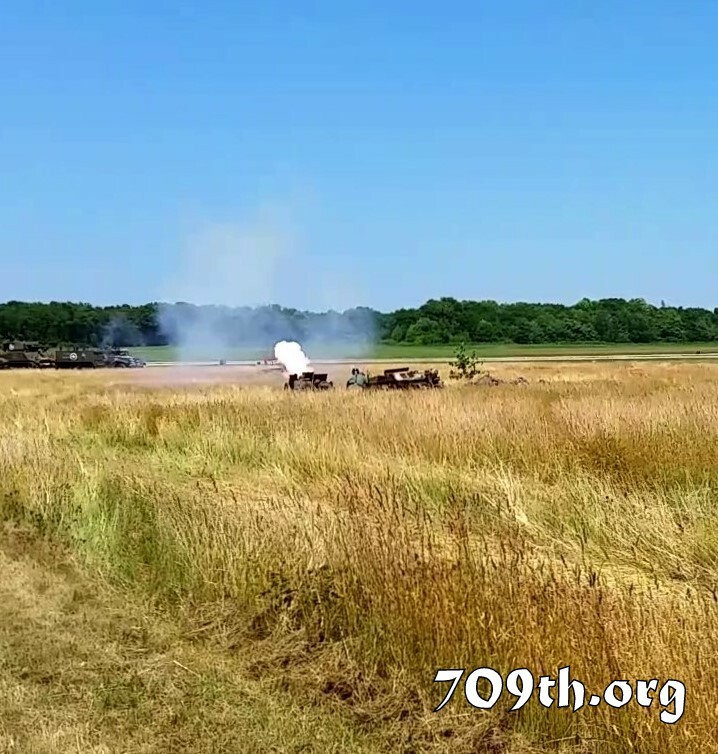 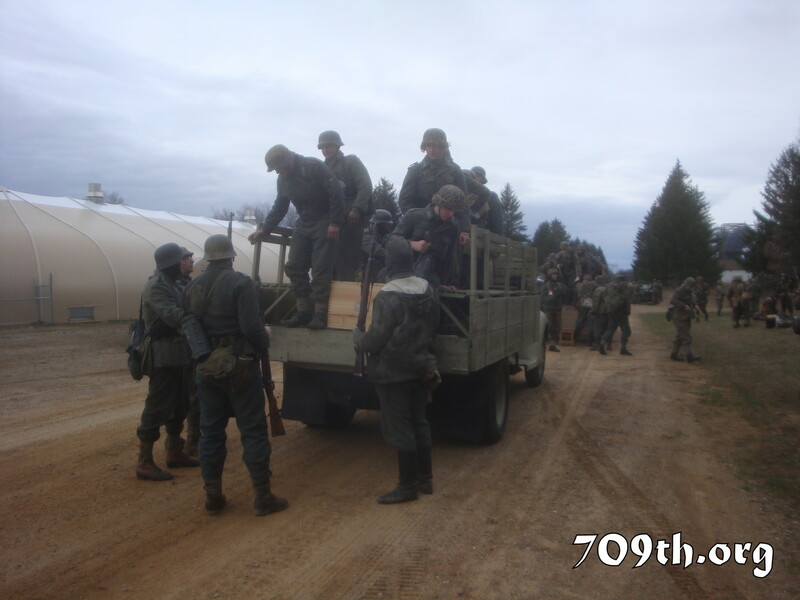 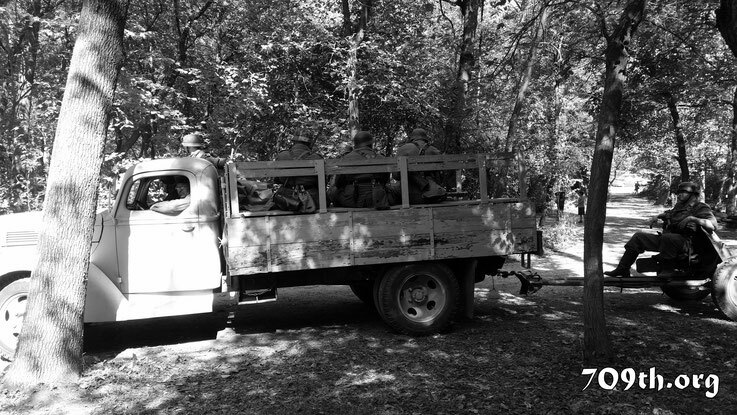 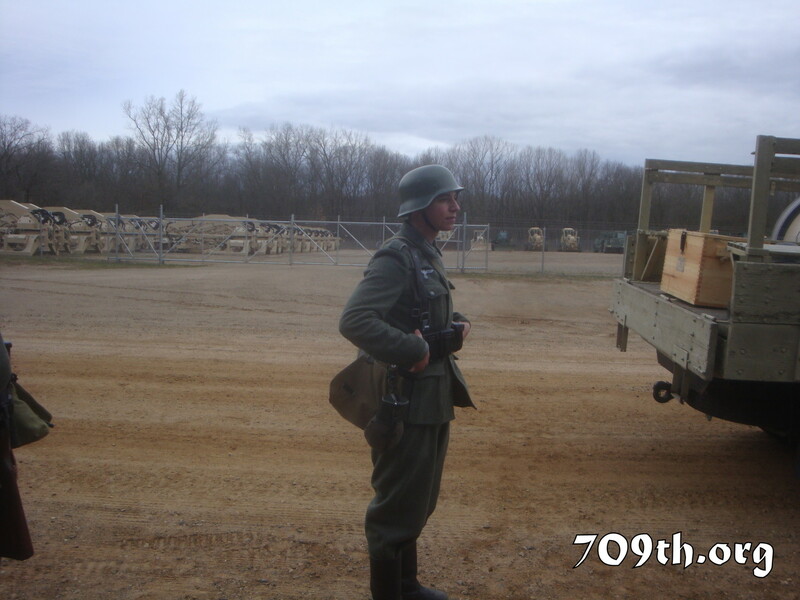 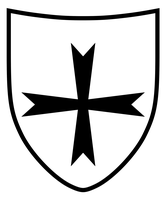 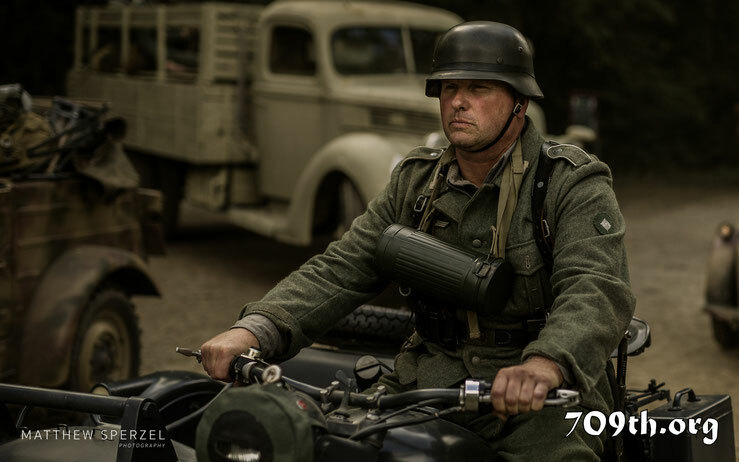 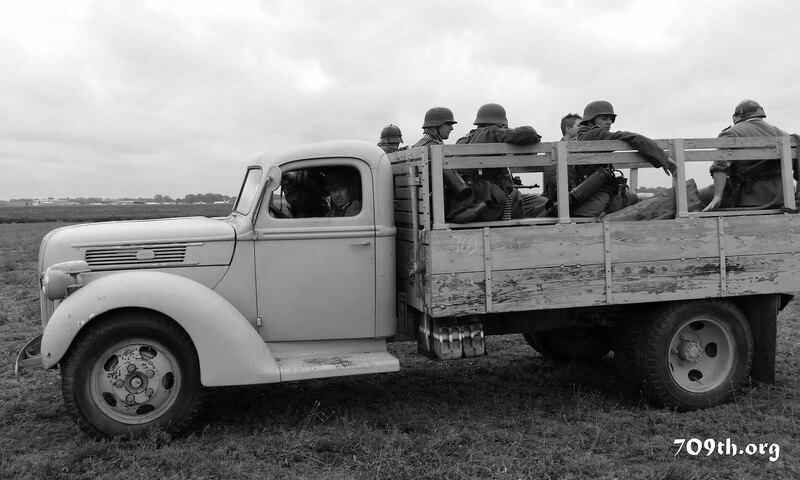 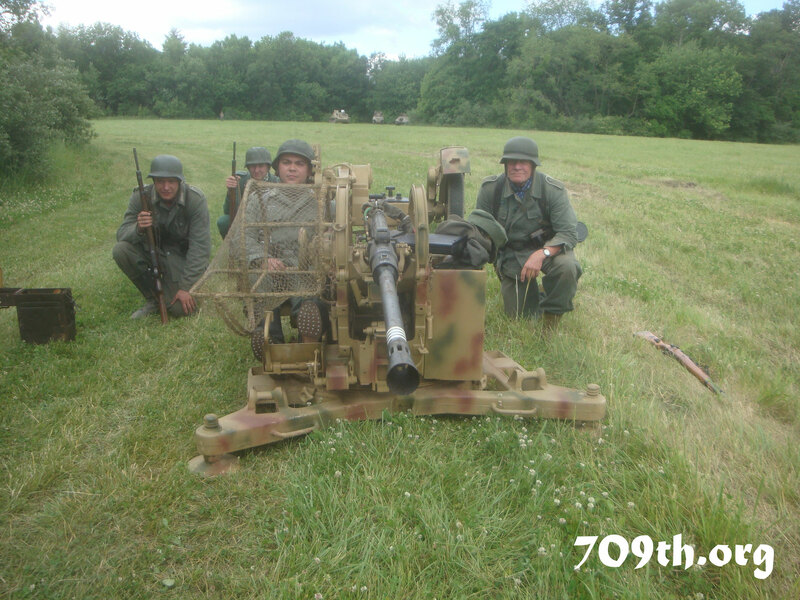 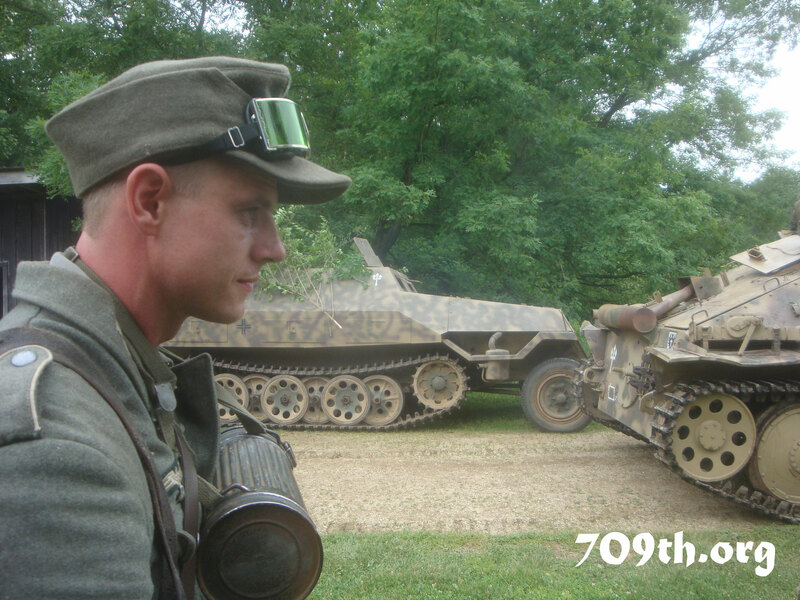 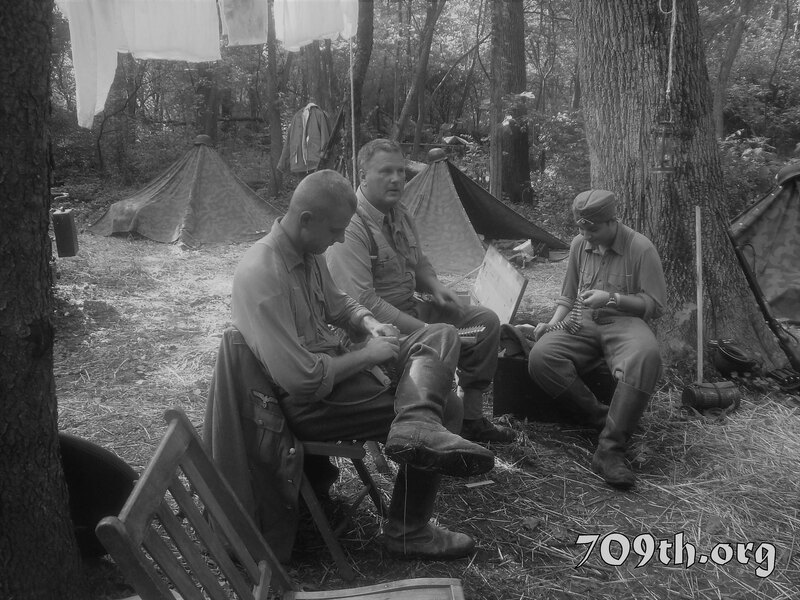 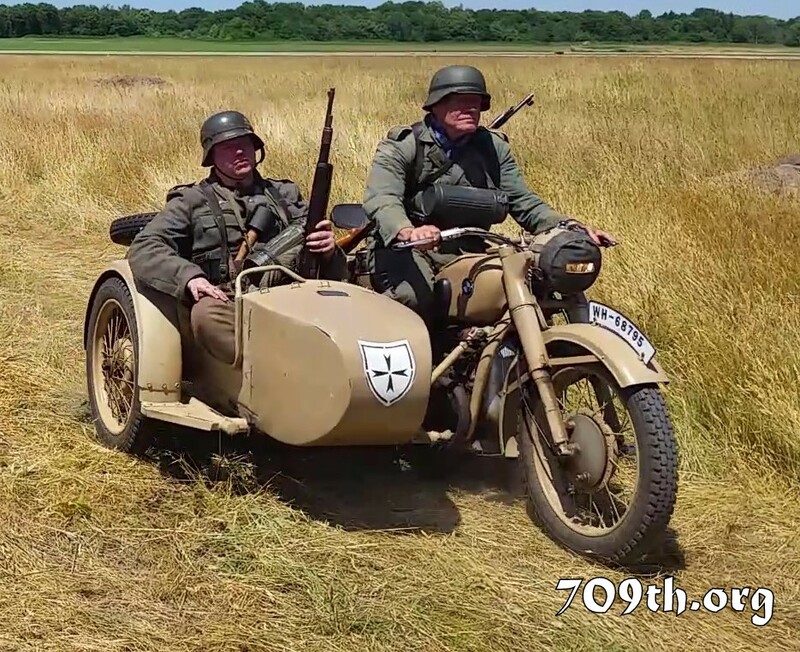 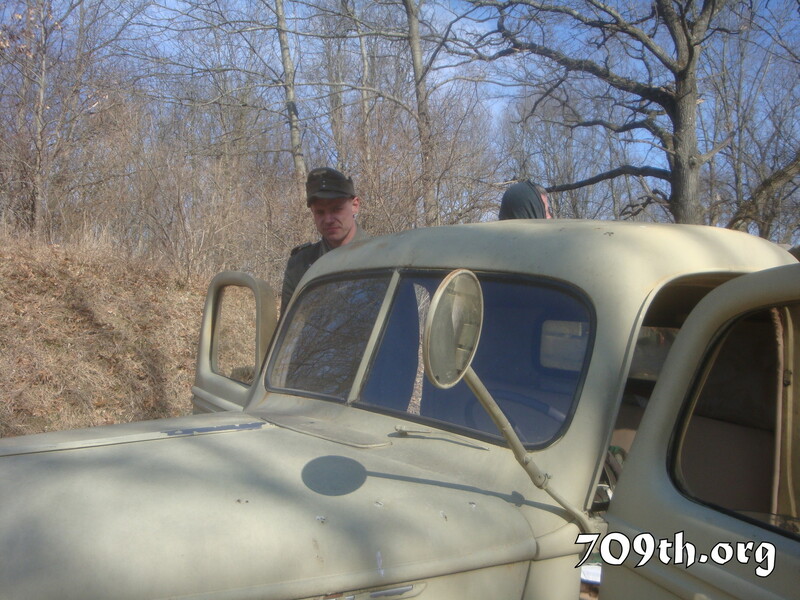 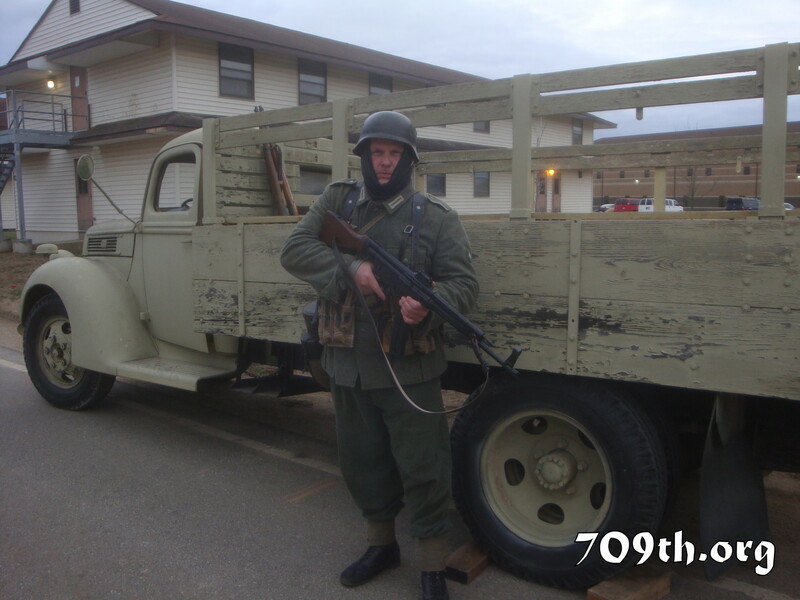 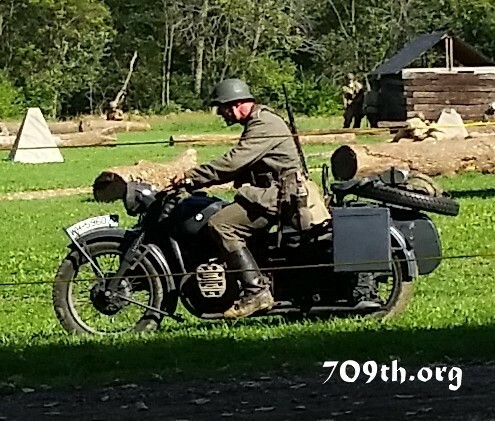 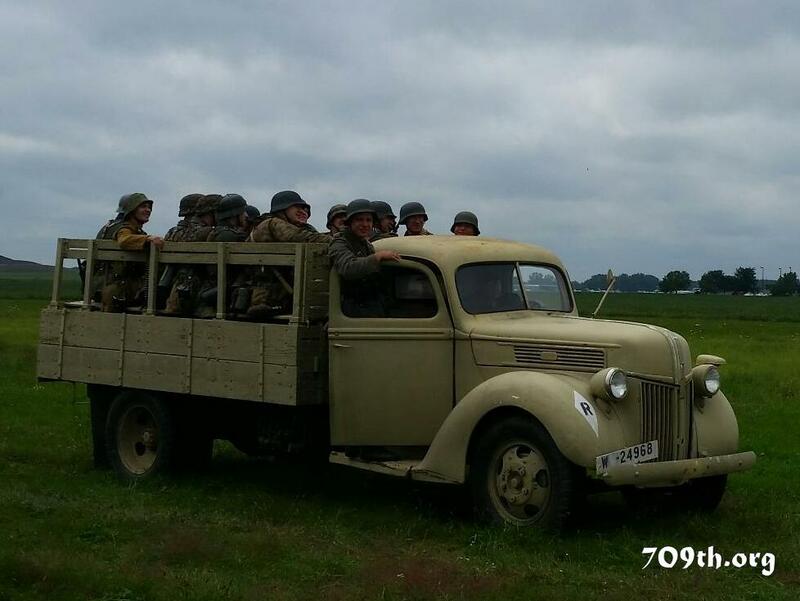 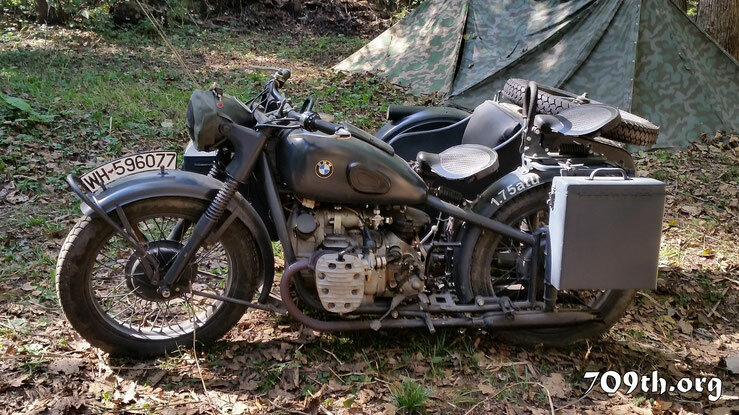 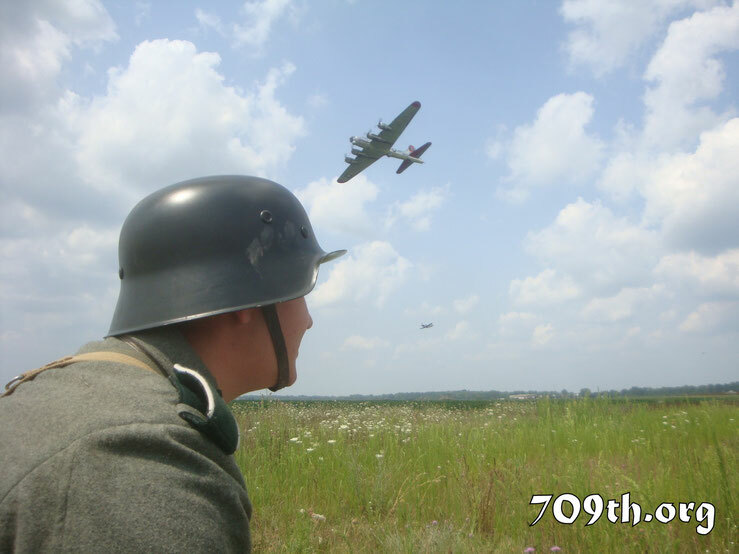 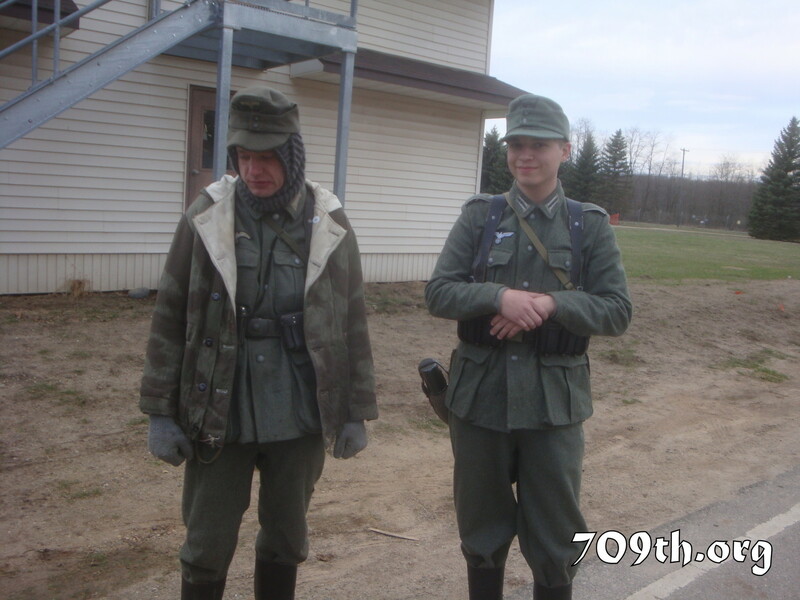 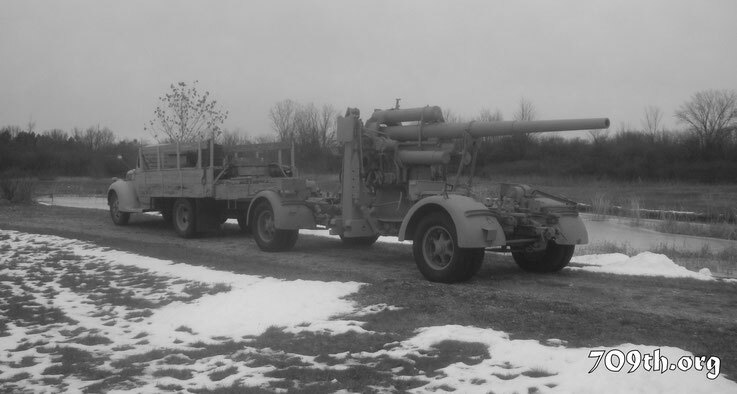 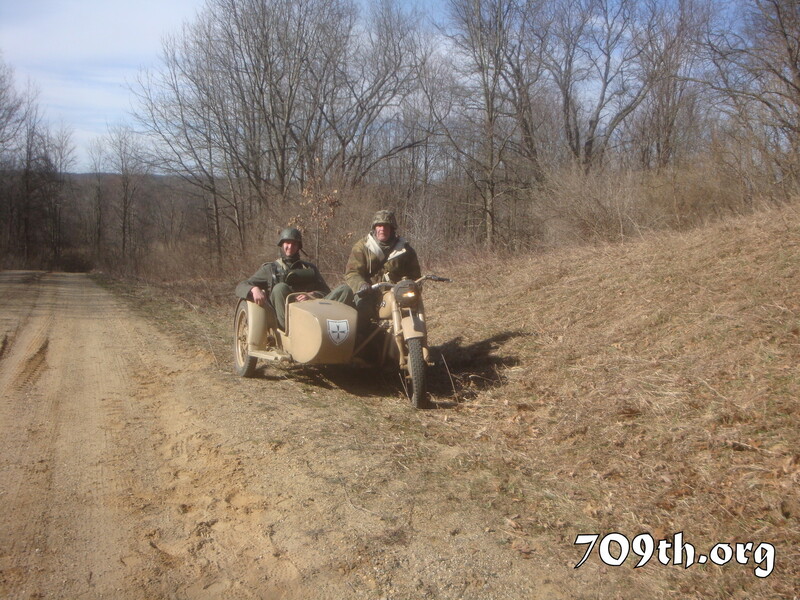 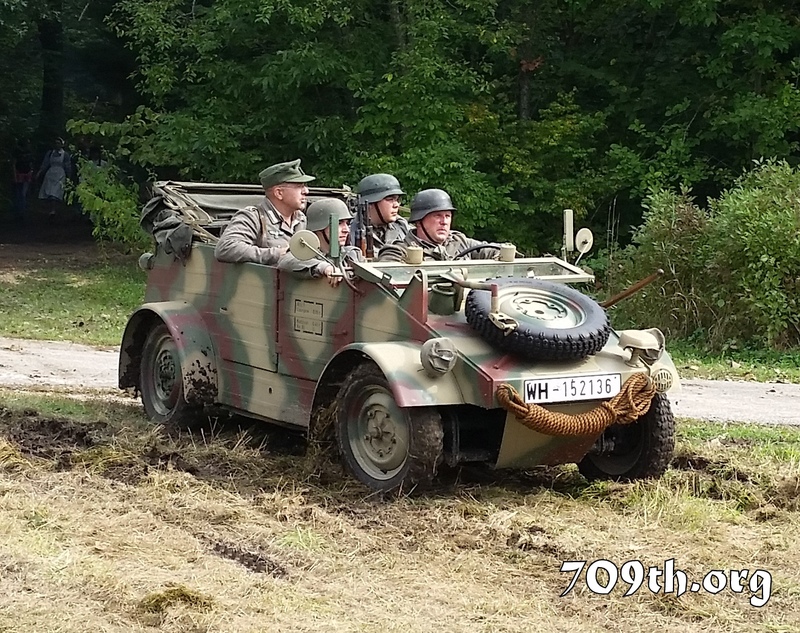 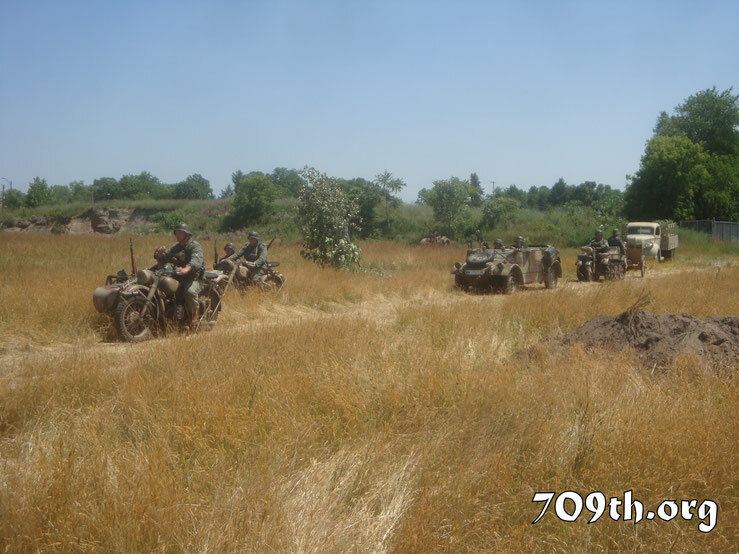 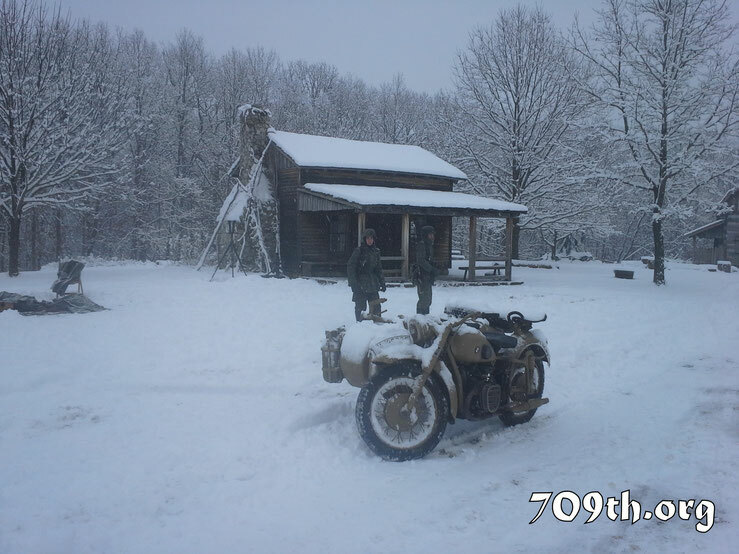 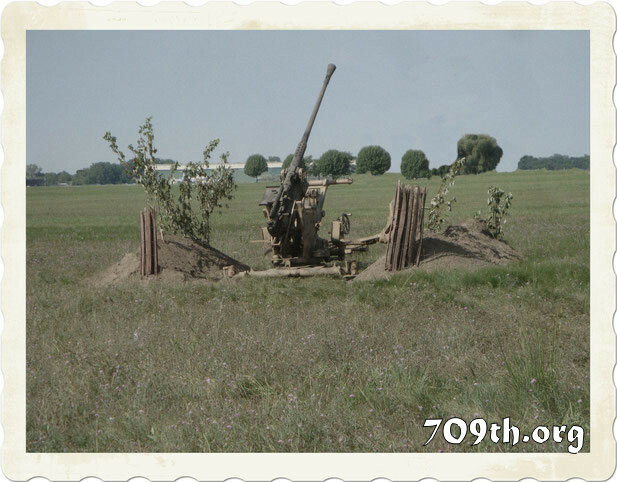 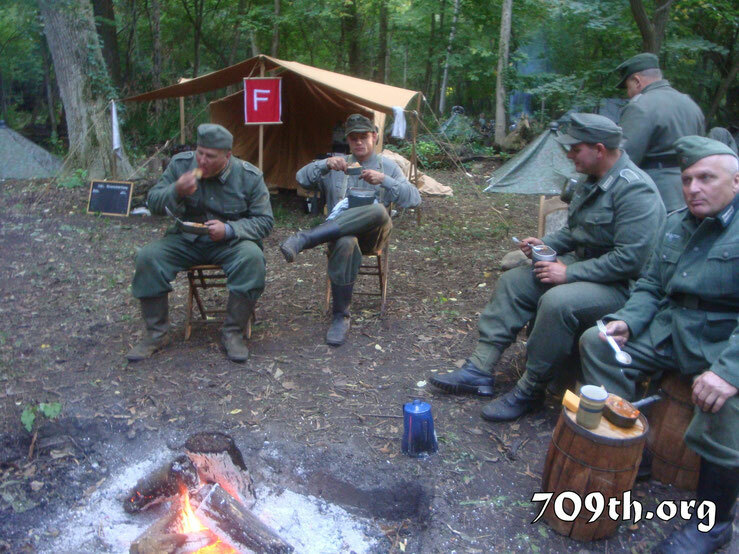 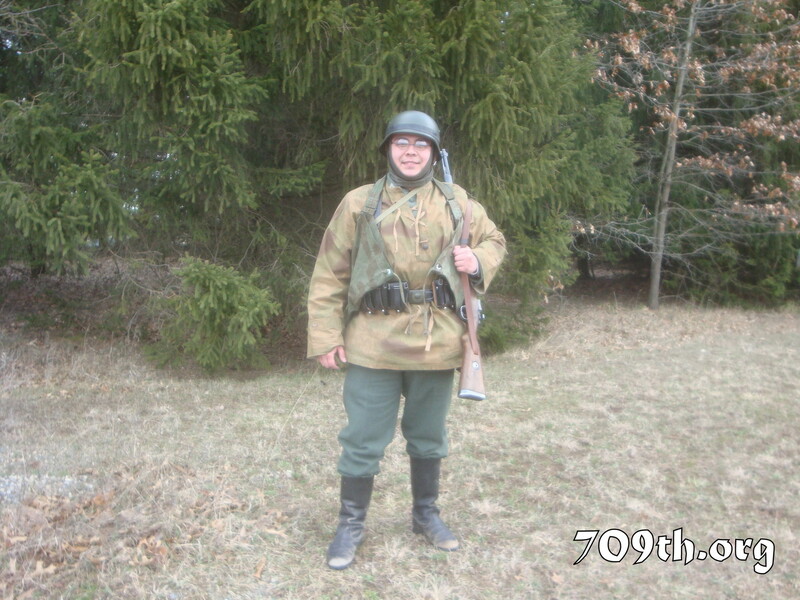 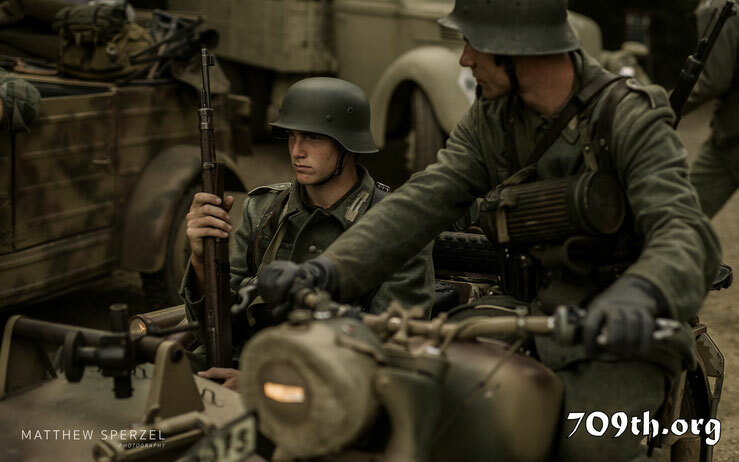 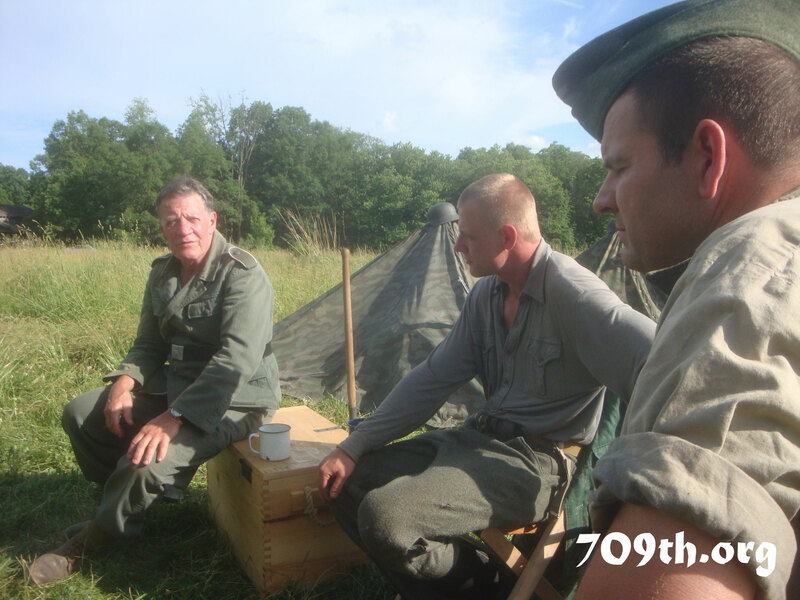 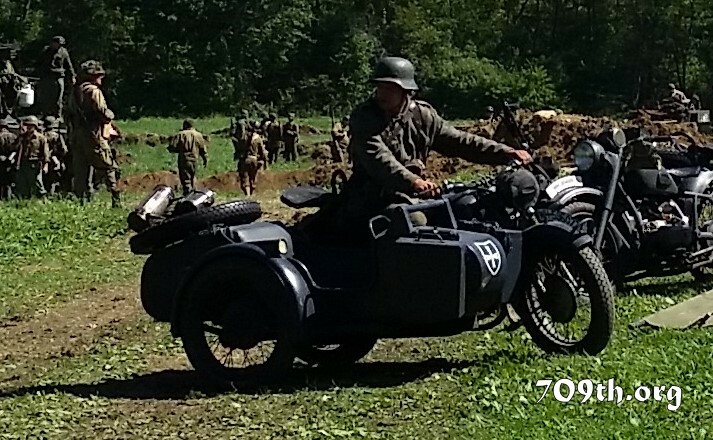 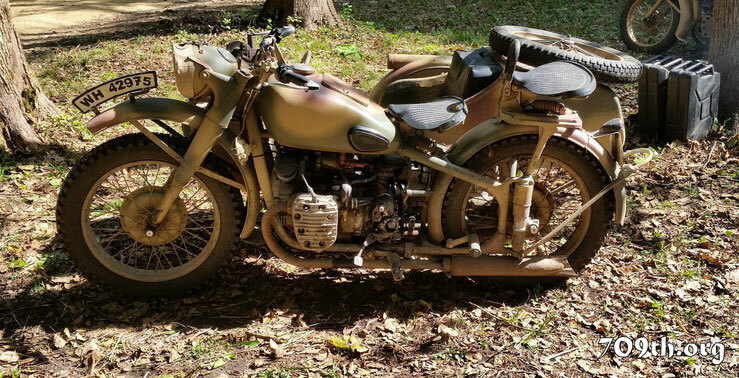 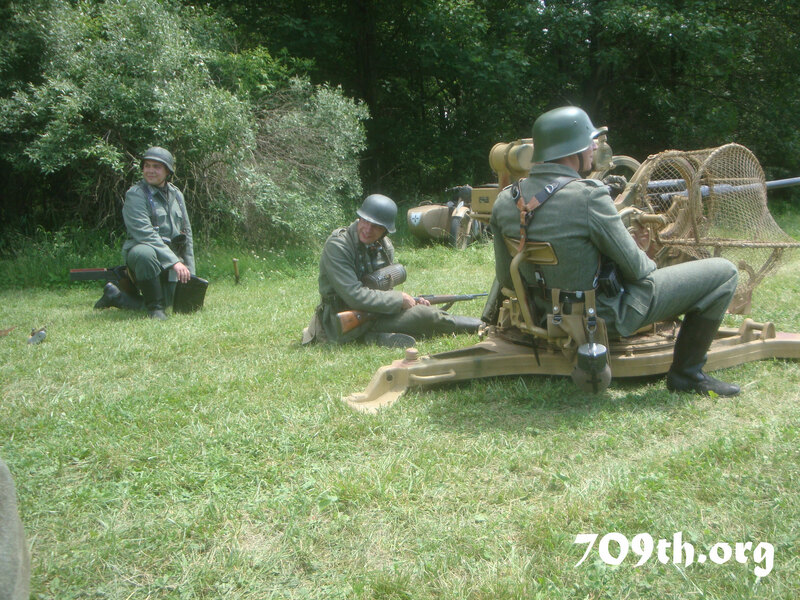 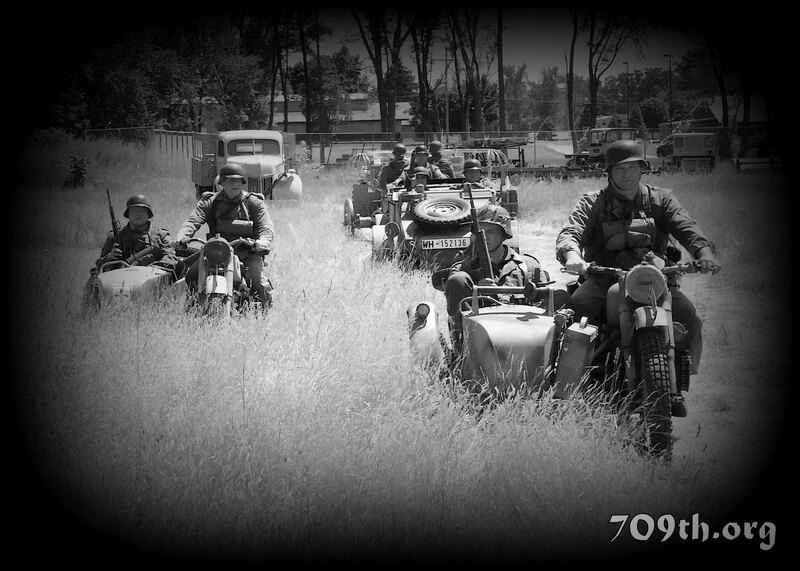 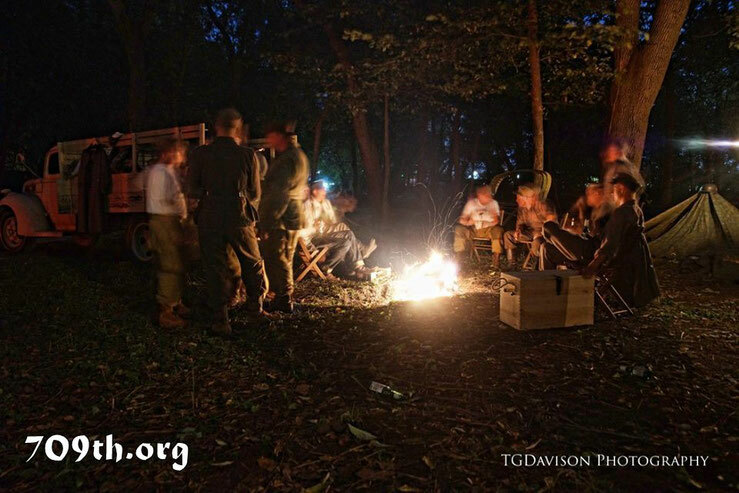 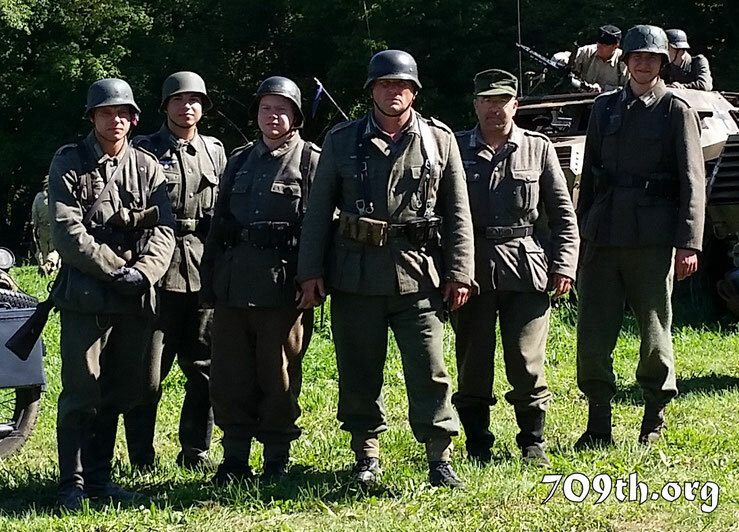 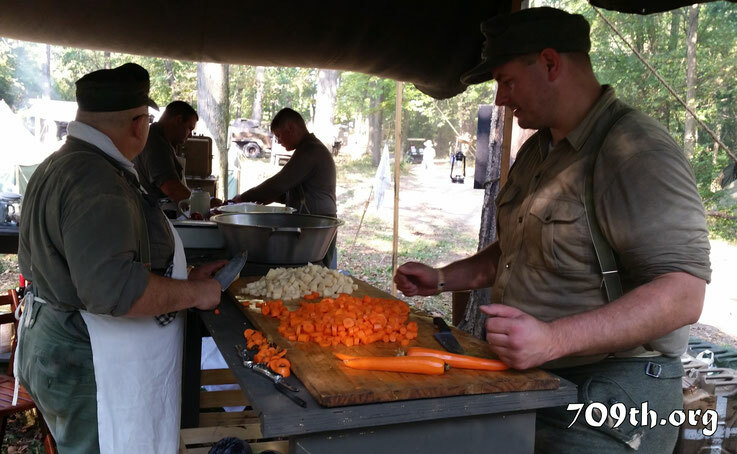 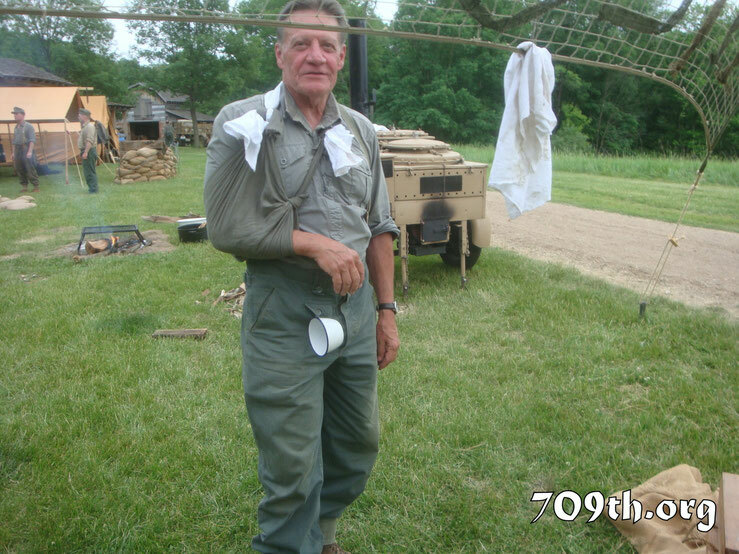 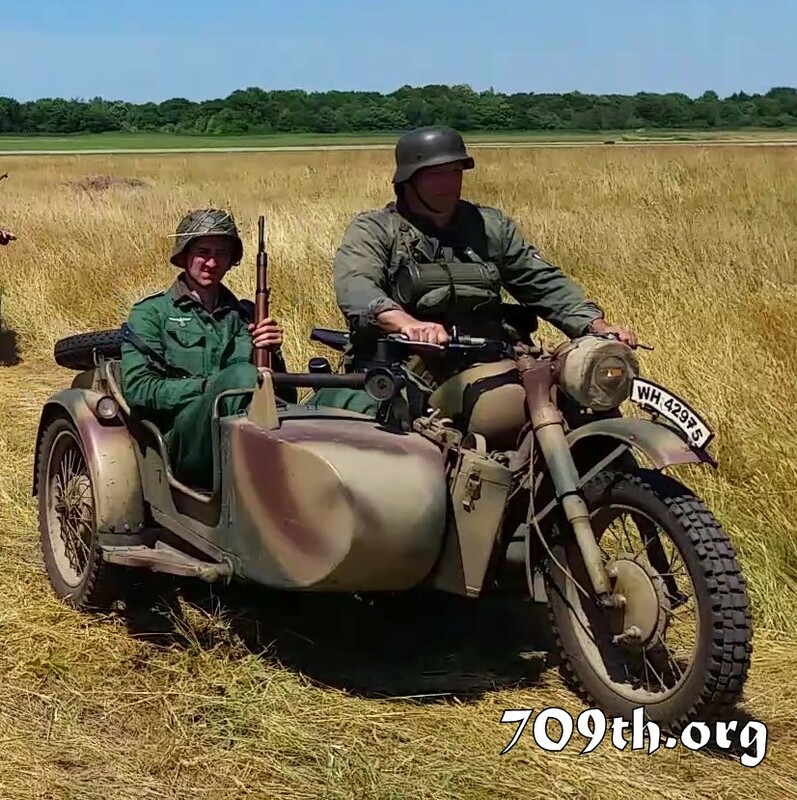 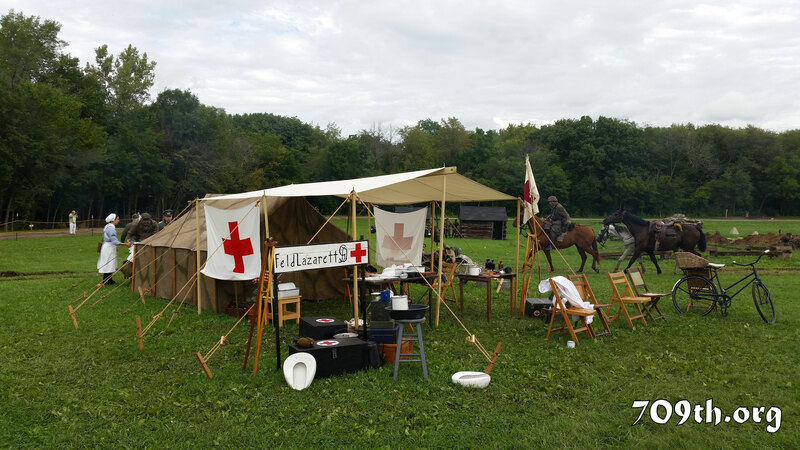 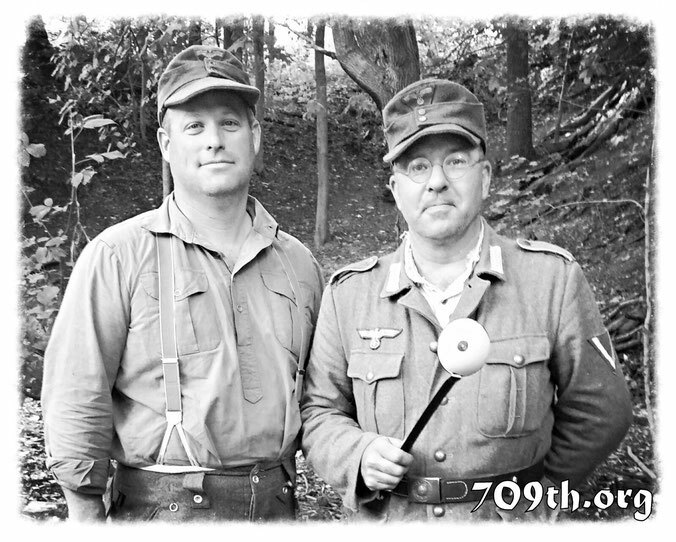 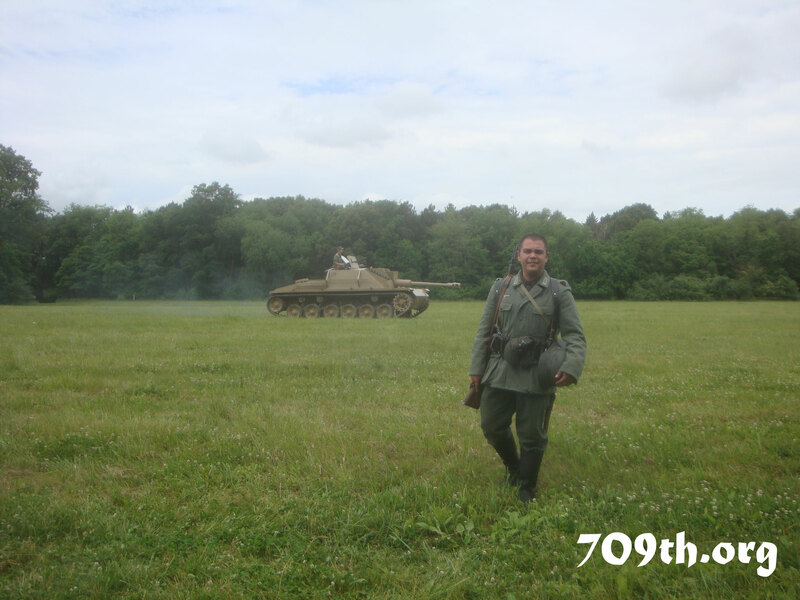 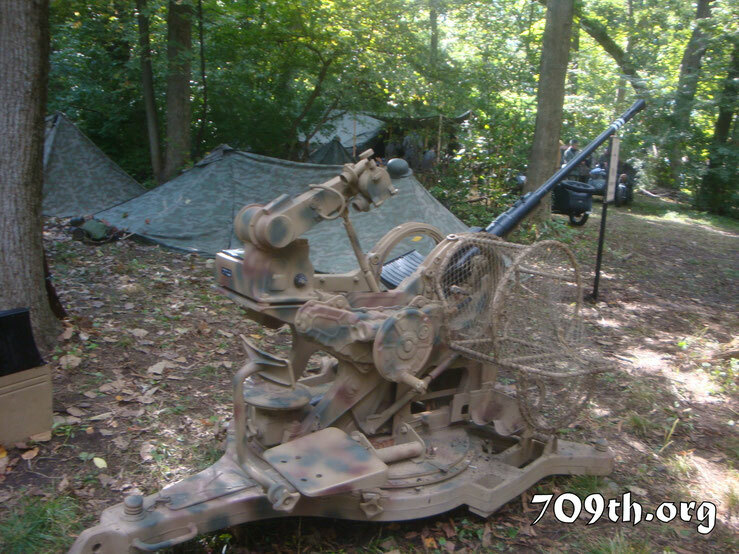 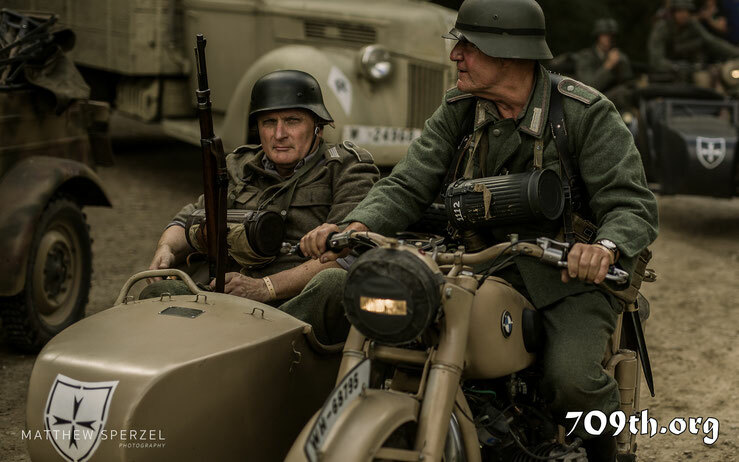 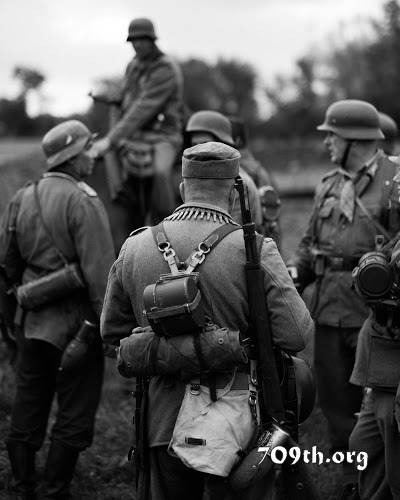 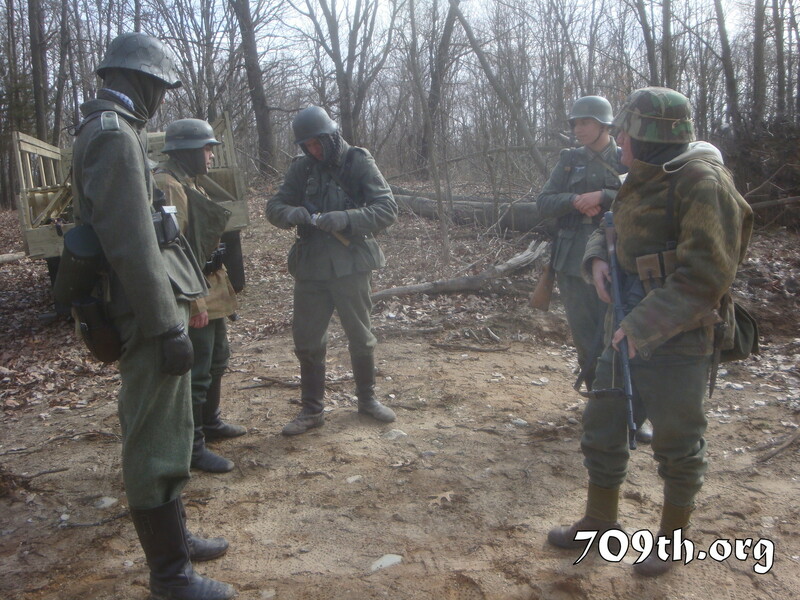 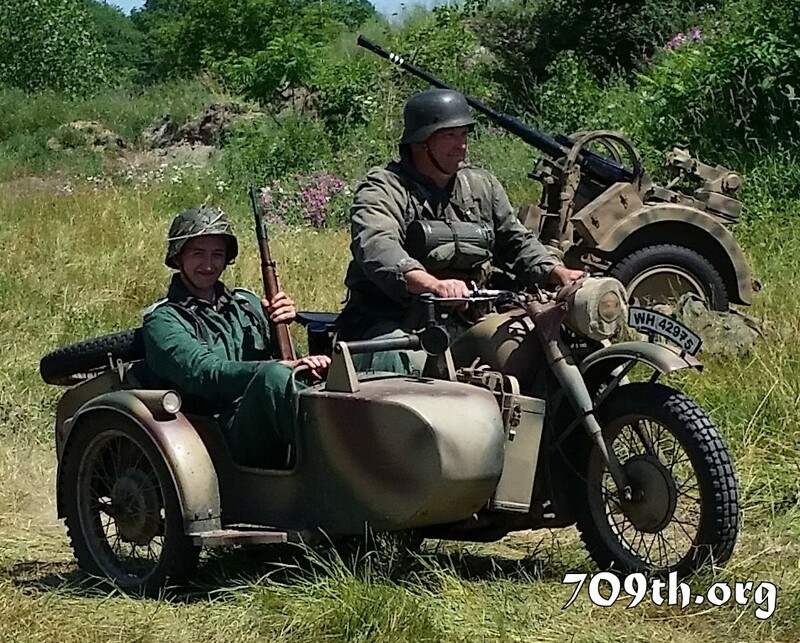 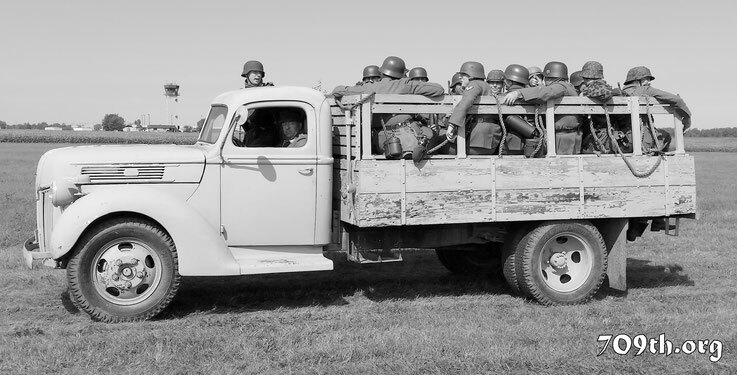 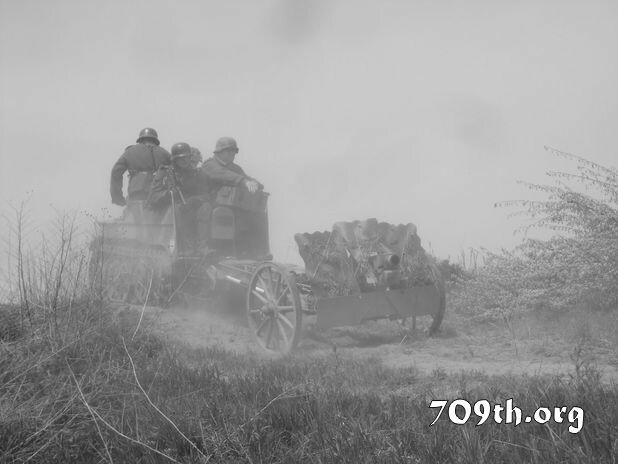 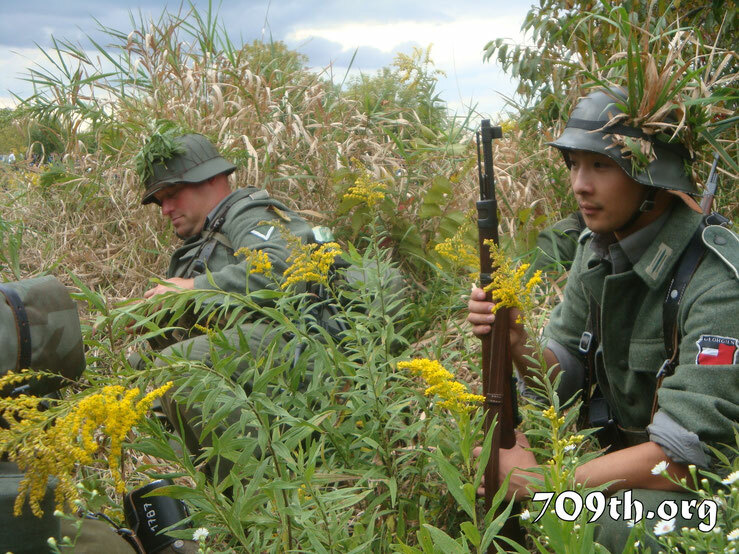 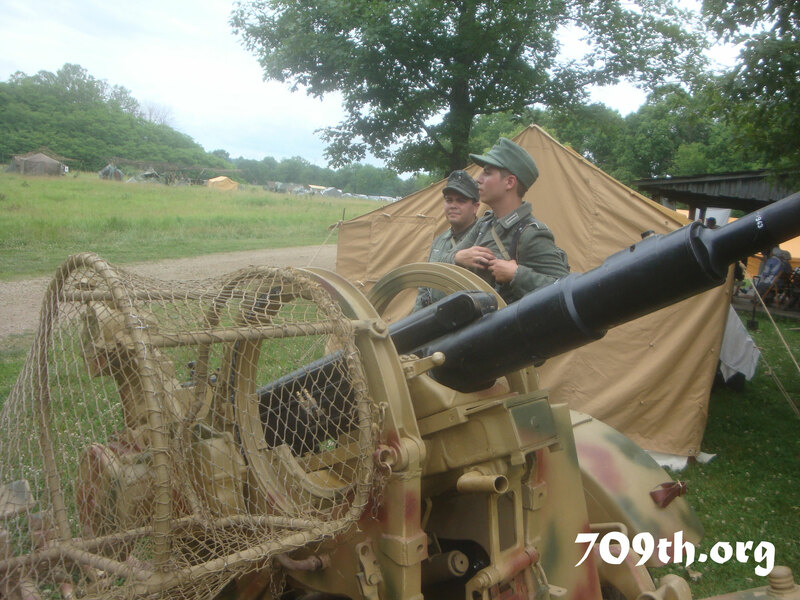 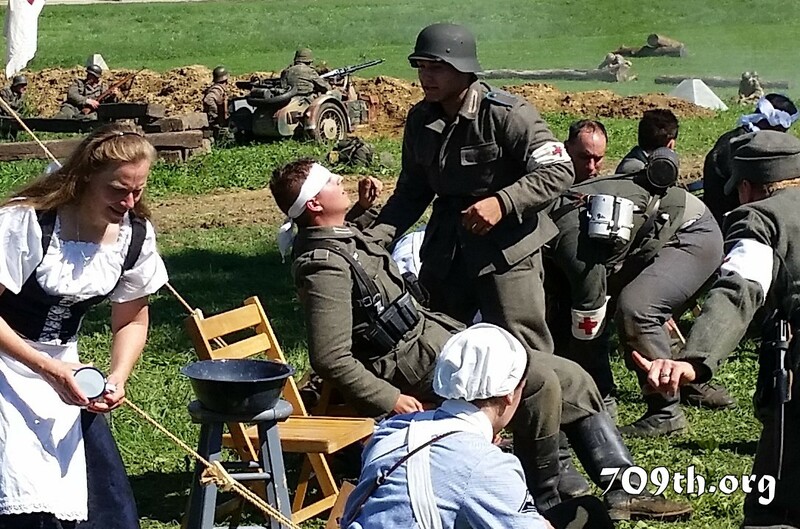 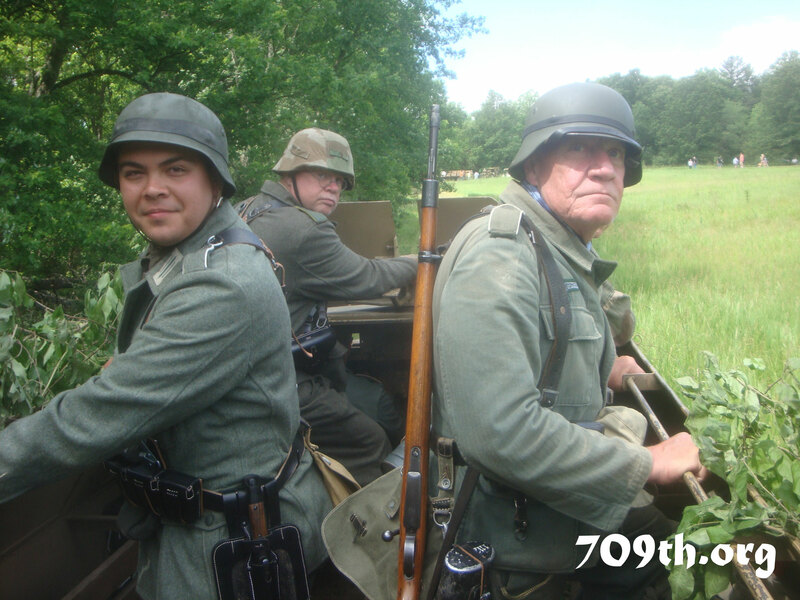 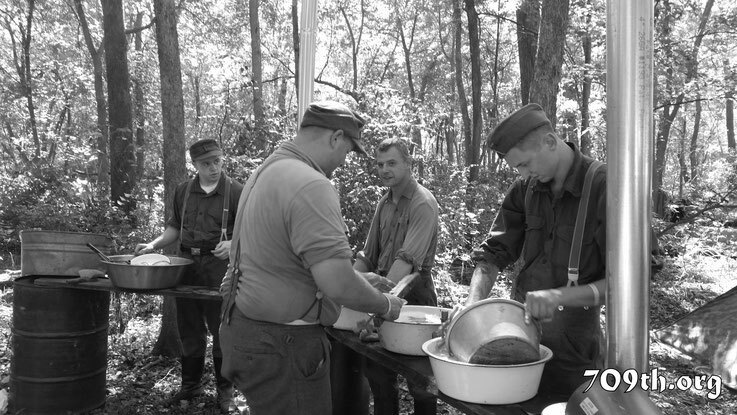 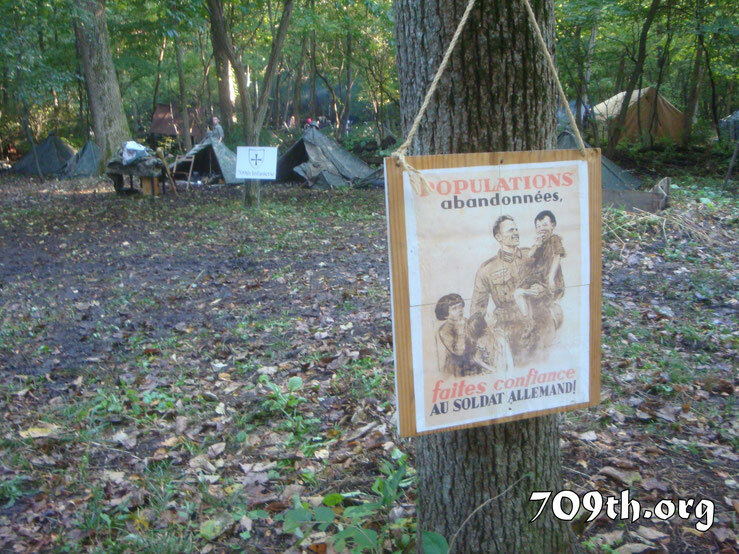 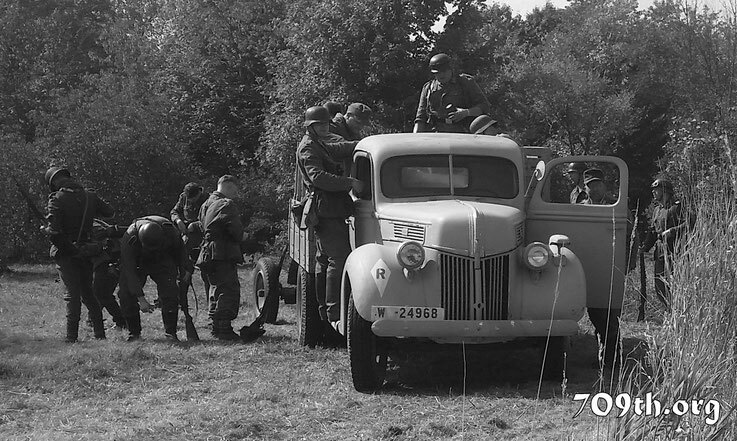 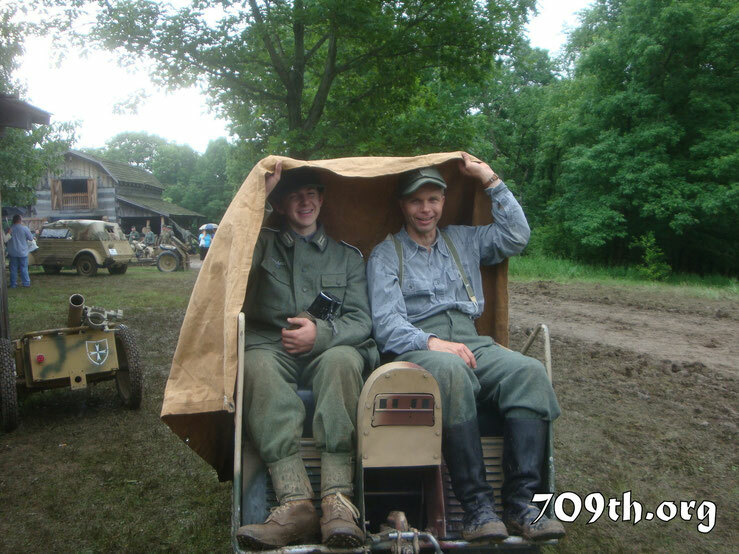 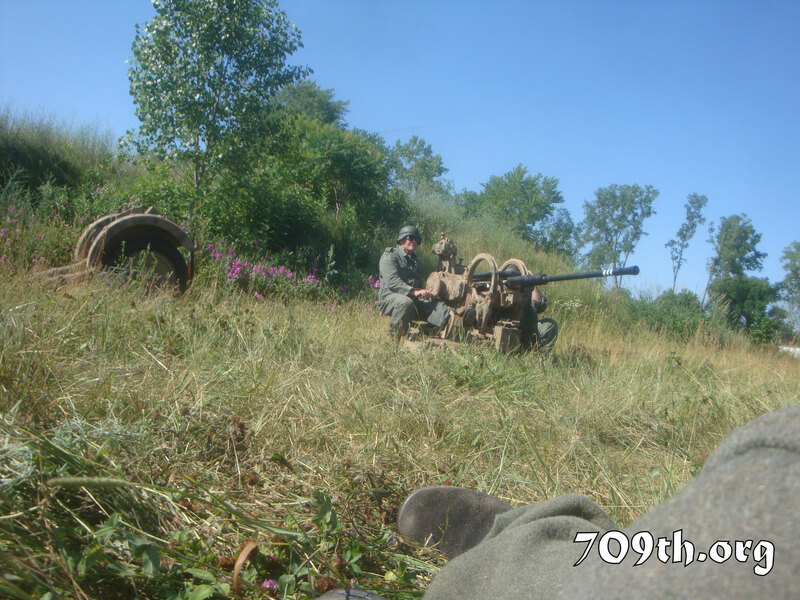 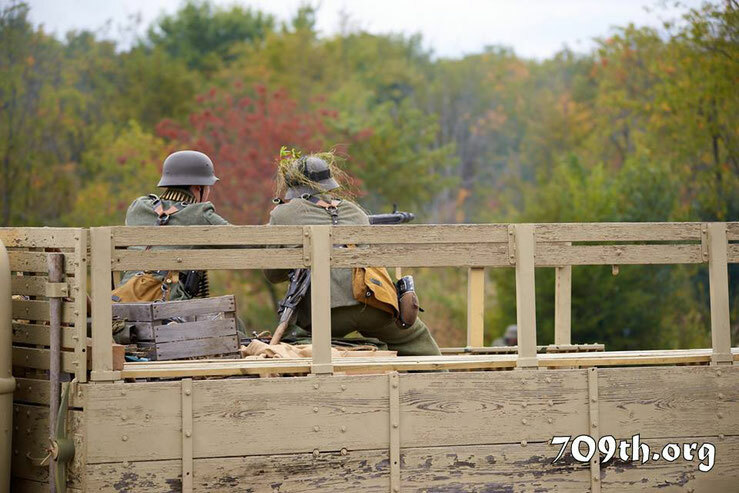 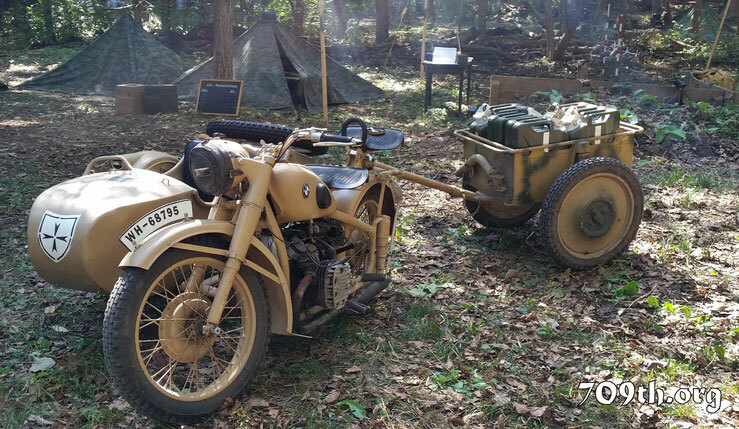 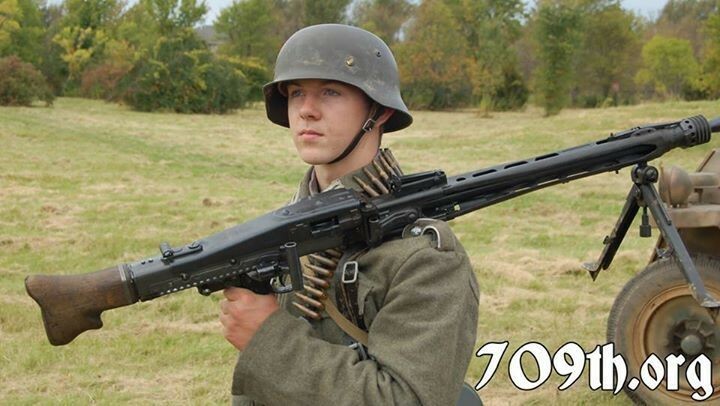 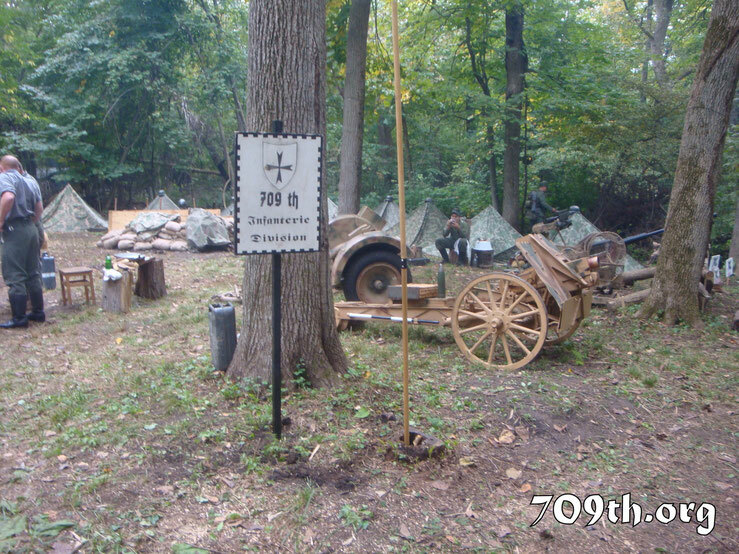 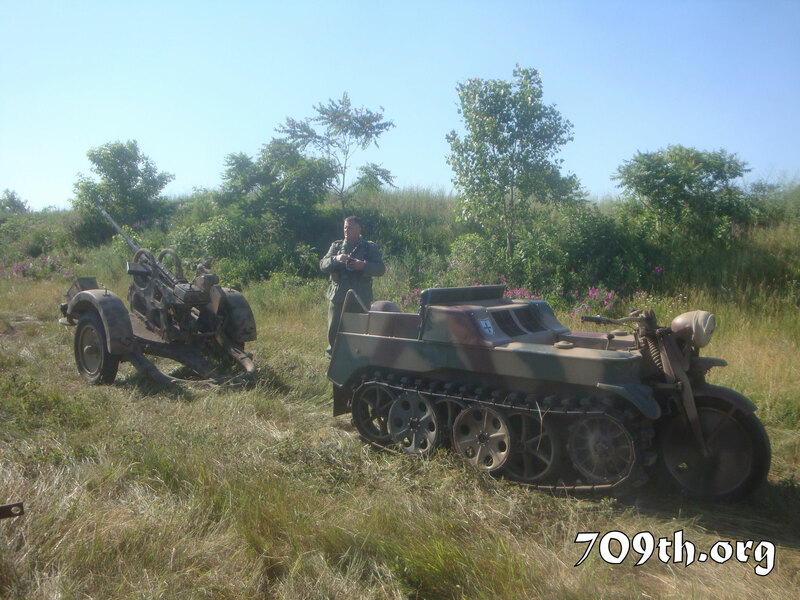 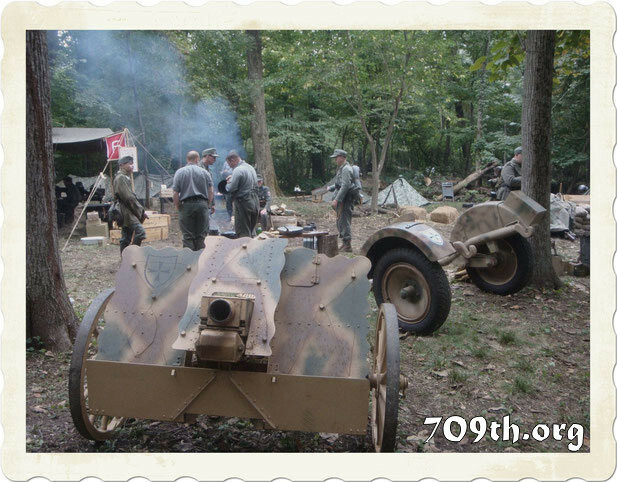 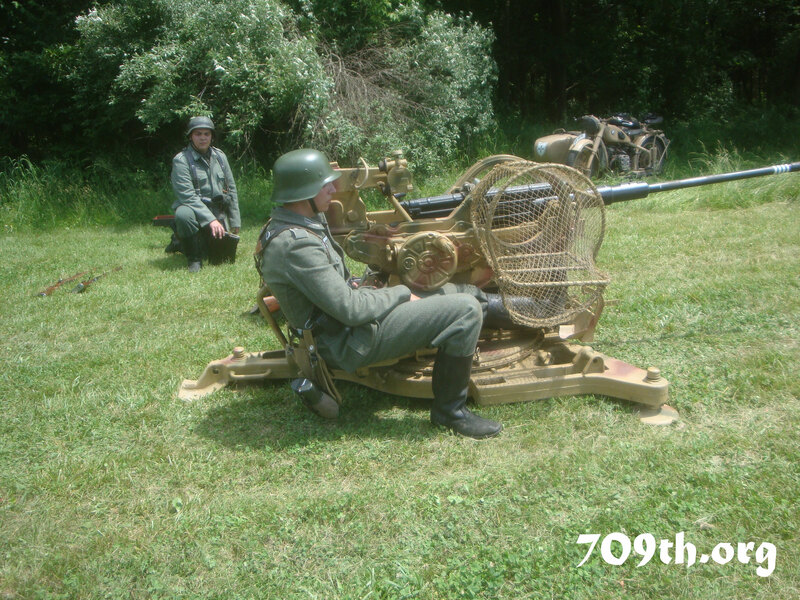 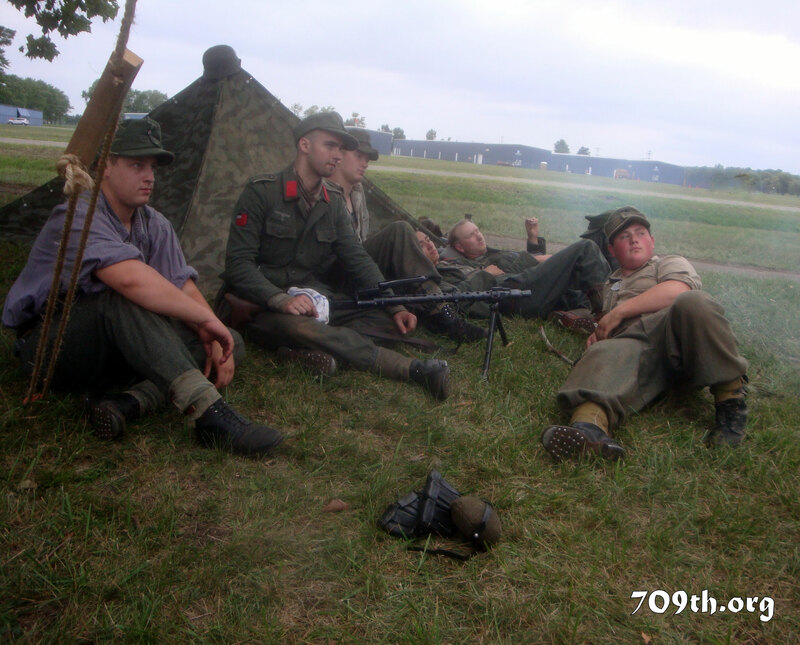 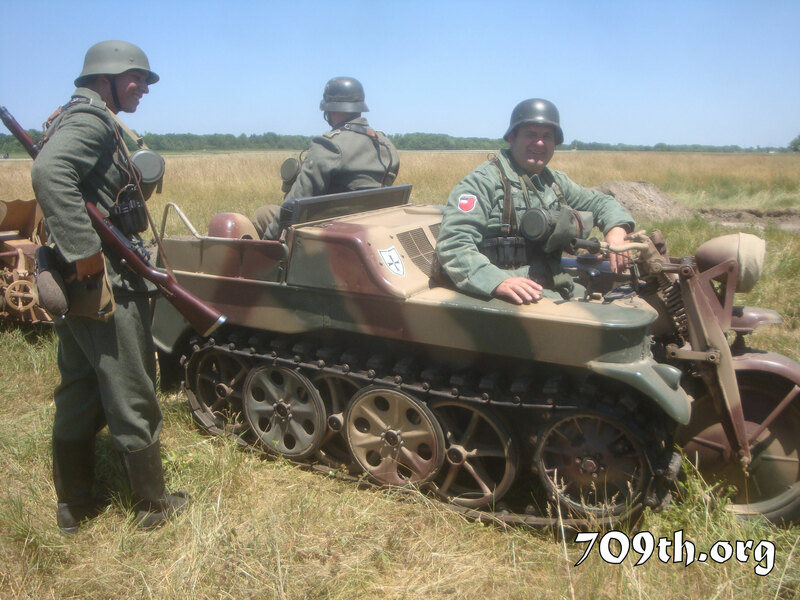 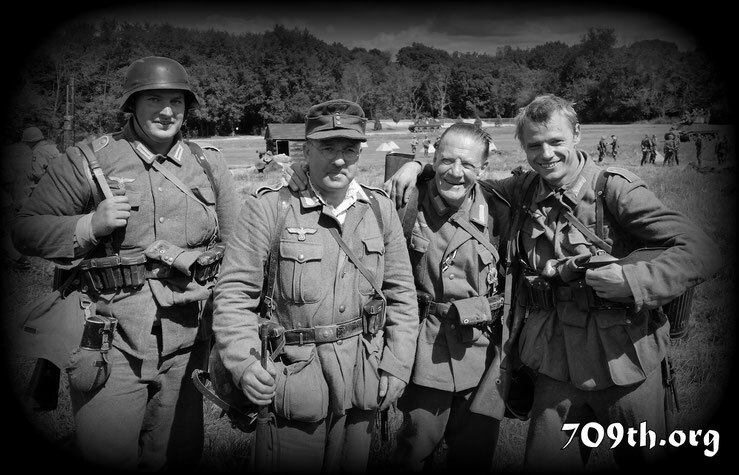 The 709th Infanterie Division is a Chartered Member of the WWII Historical Re-enactment Society, Inc. Disclaimer: This website and any members of the Re-enactment groups shown are not affiliated with any radical political organizations (i.e. 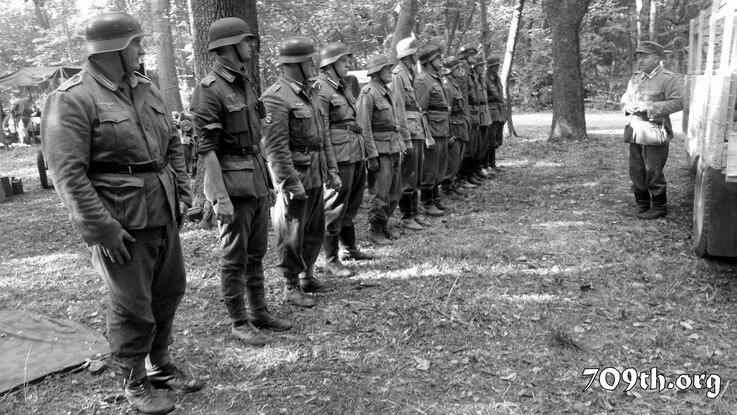 the American Nazi Party, Aryan Nation, etc.) 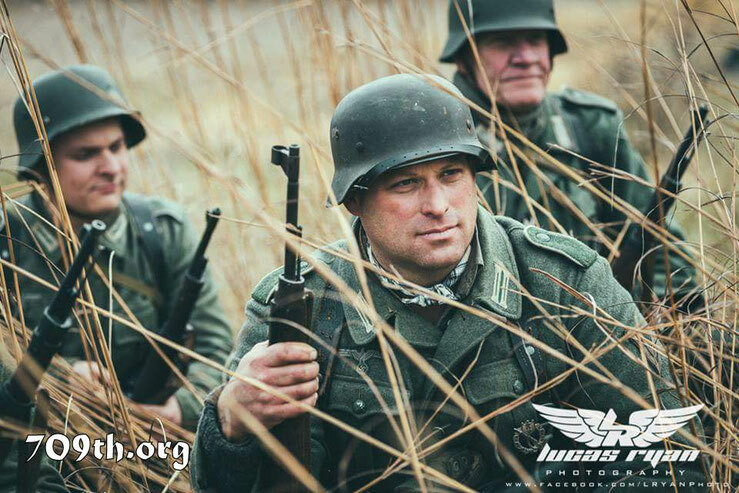 nor embrace the philosophies and actions of the original NSDAP (Nazi Party).